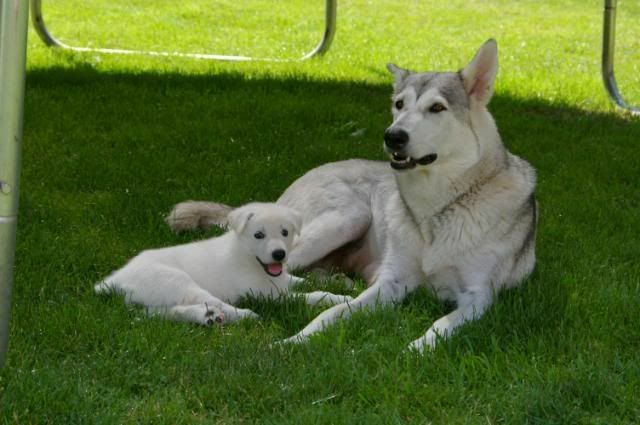 And The Most recent photos of them as adults. 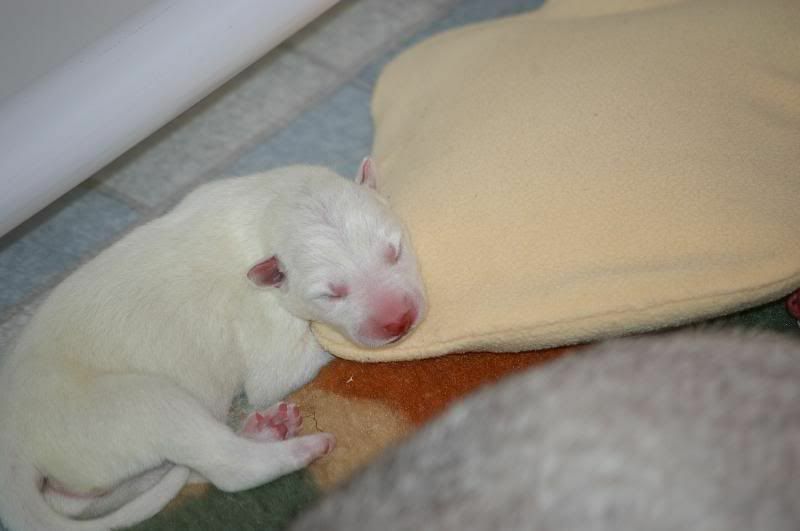 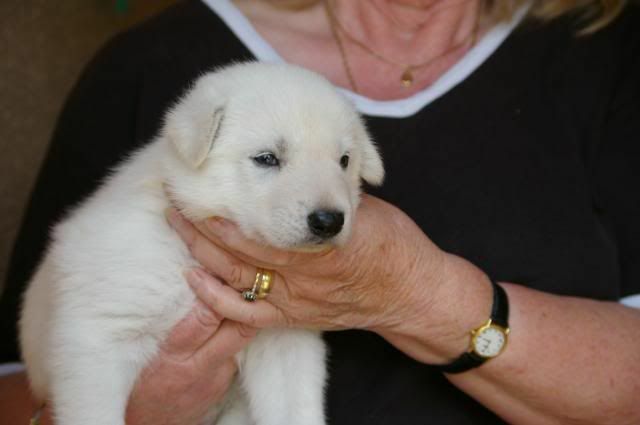 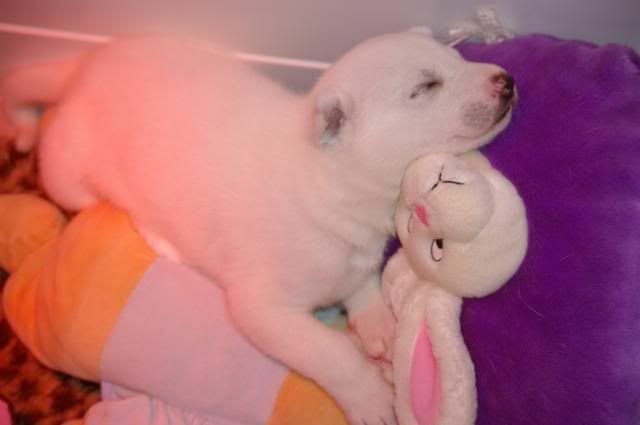 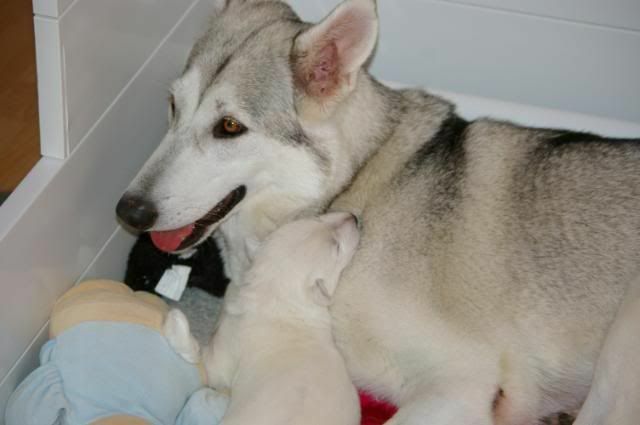 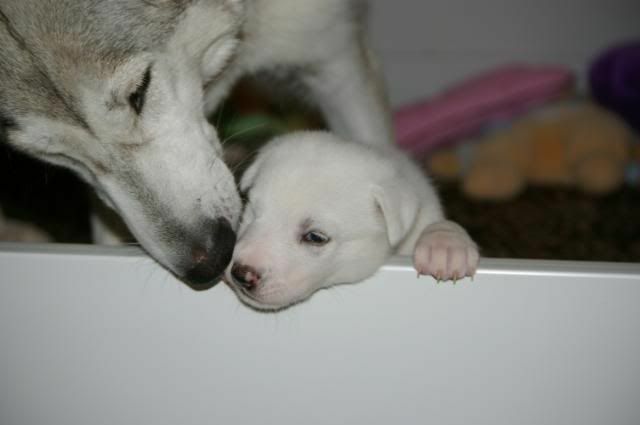 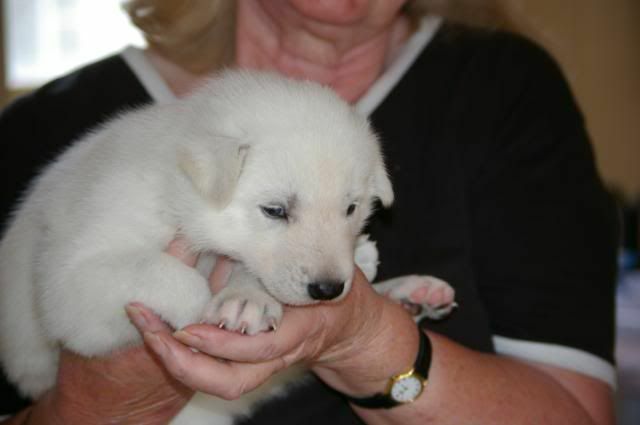 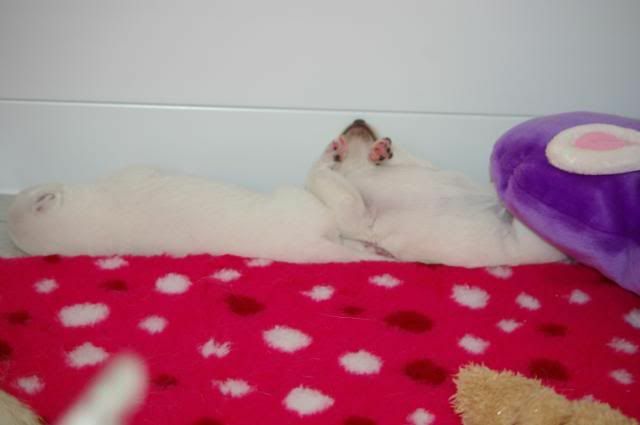 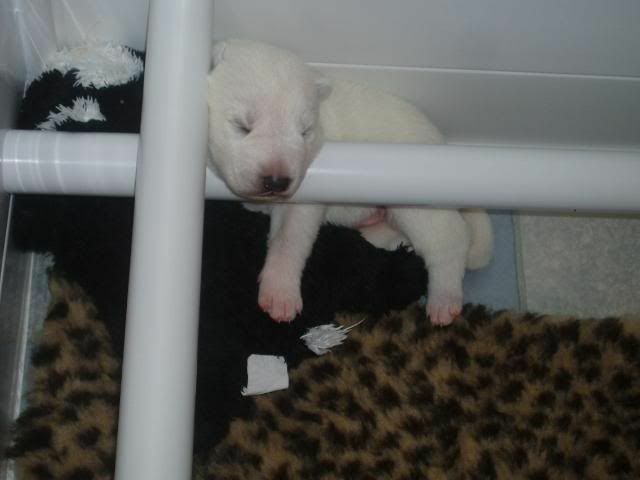 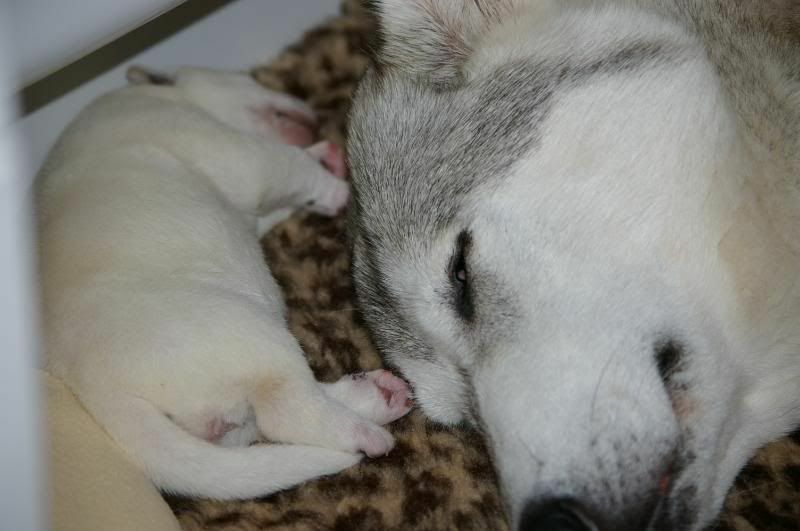 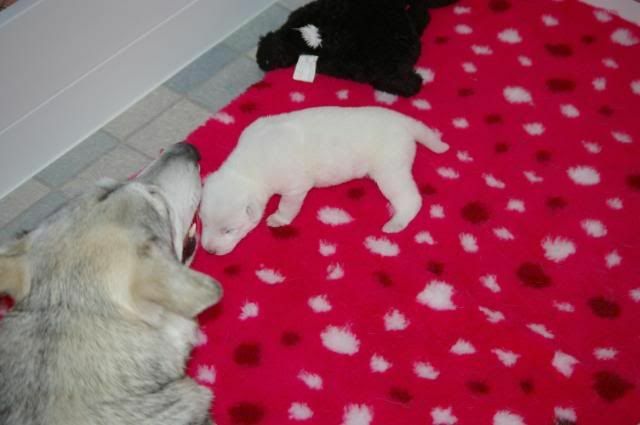 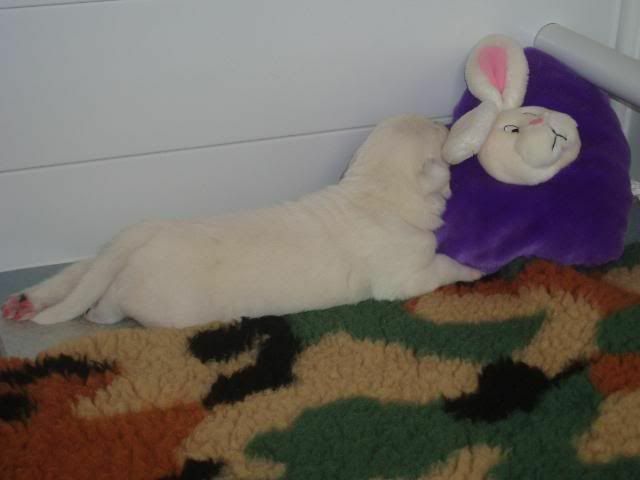 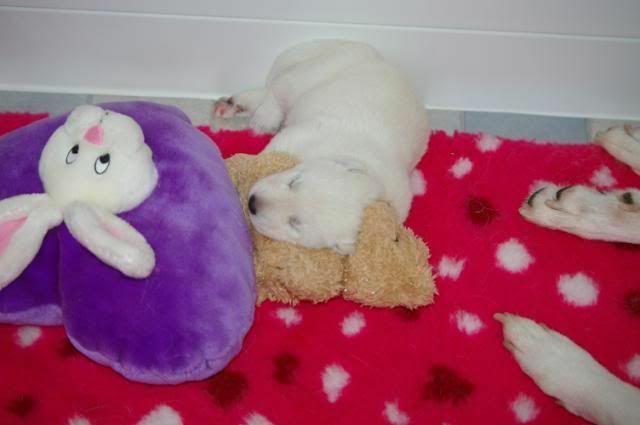 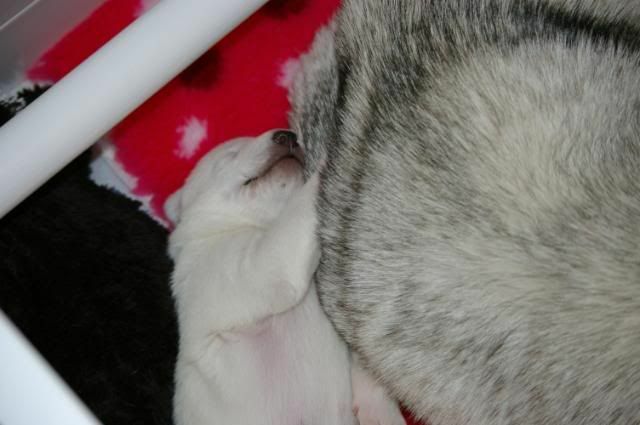 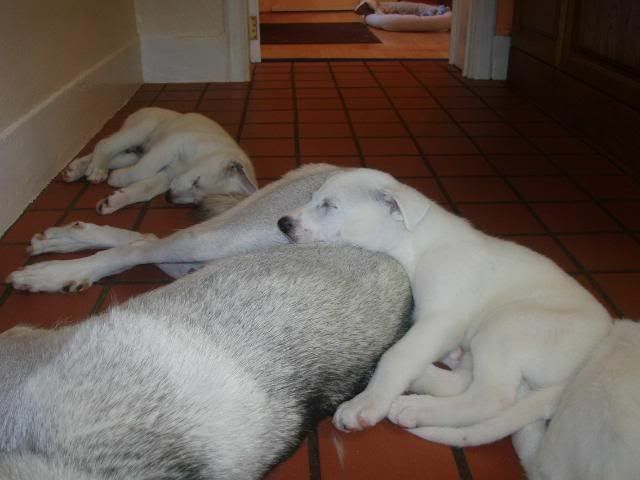 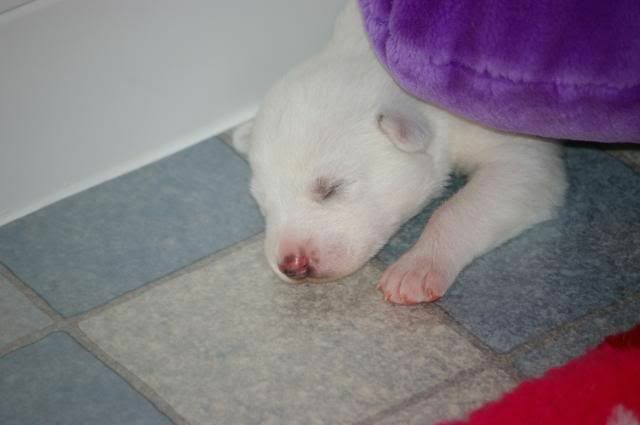 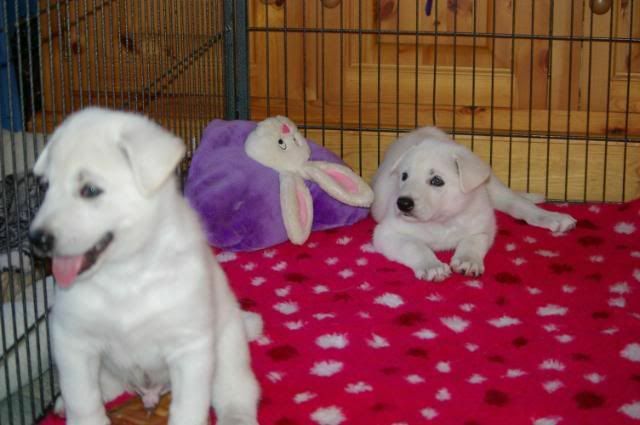 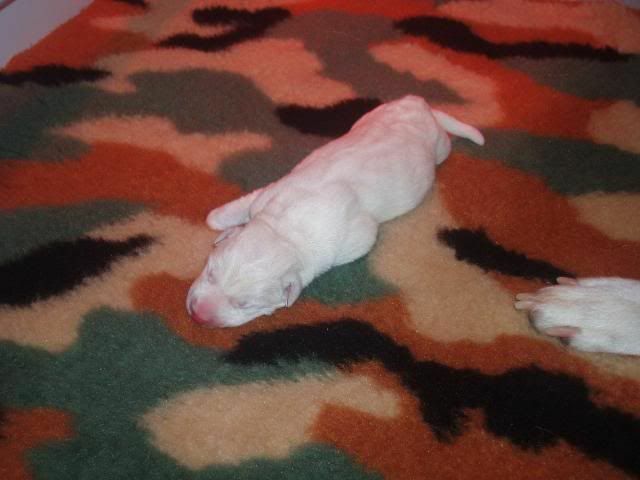 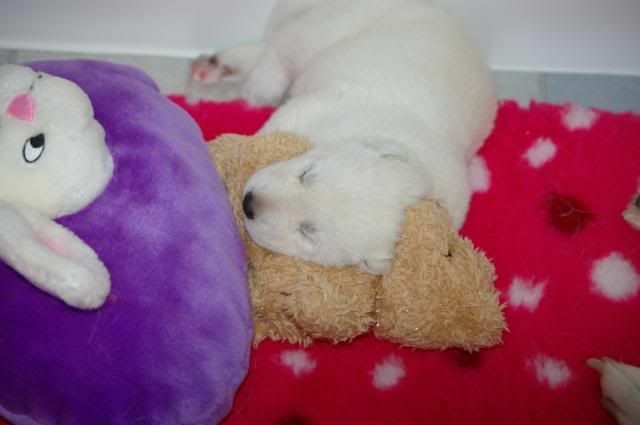 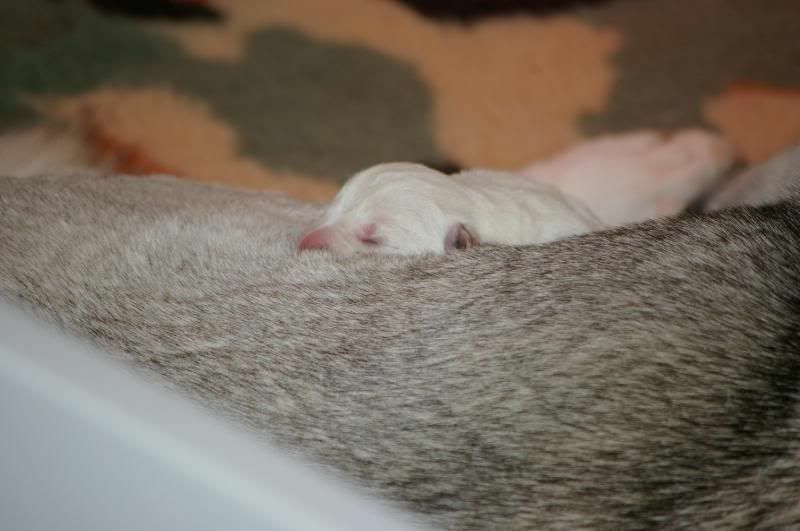 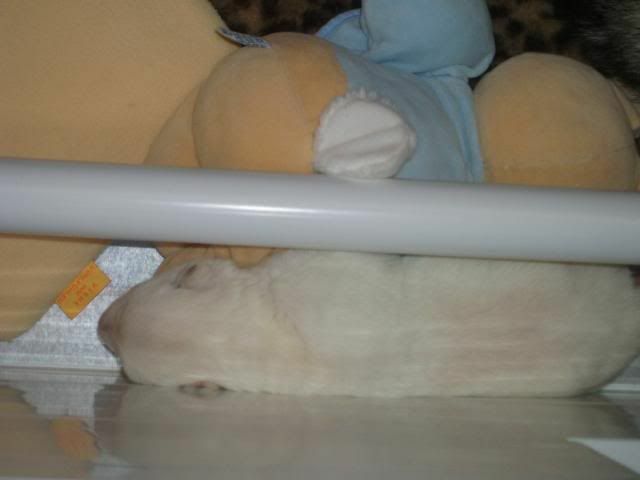 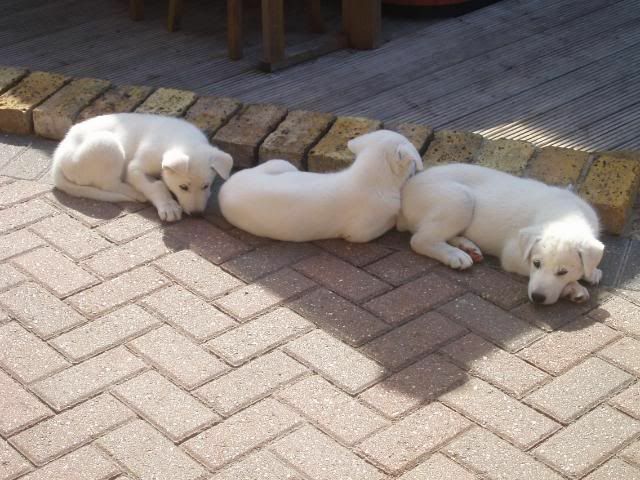 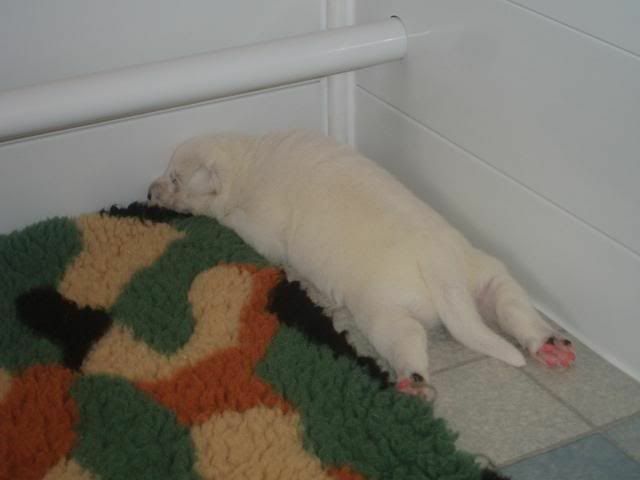 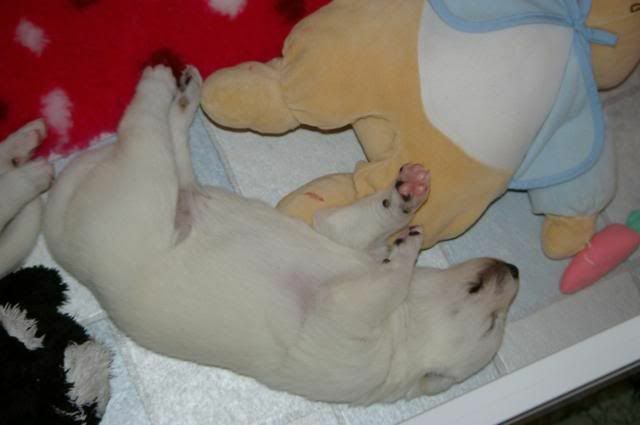 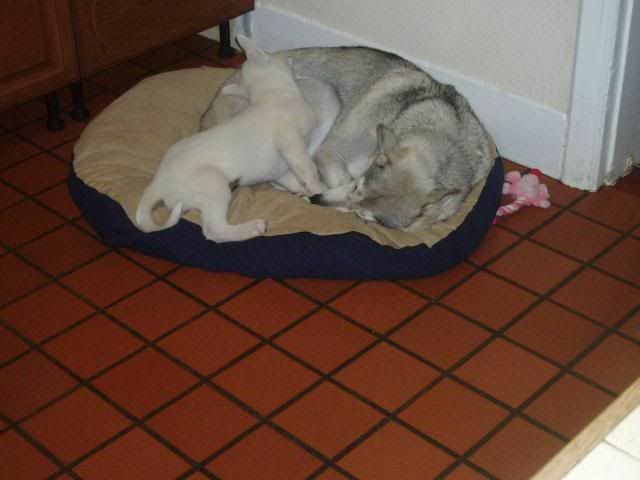 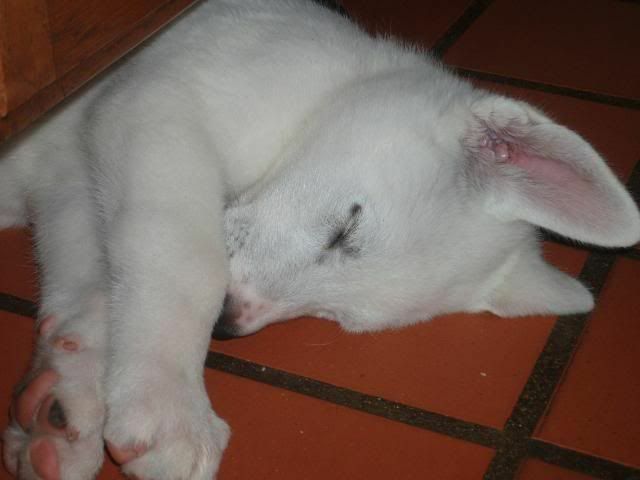 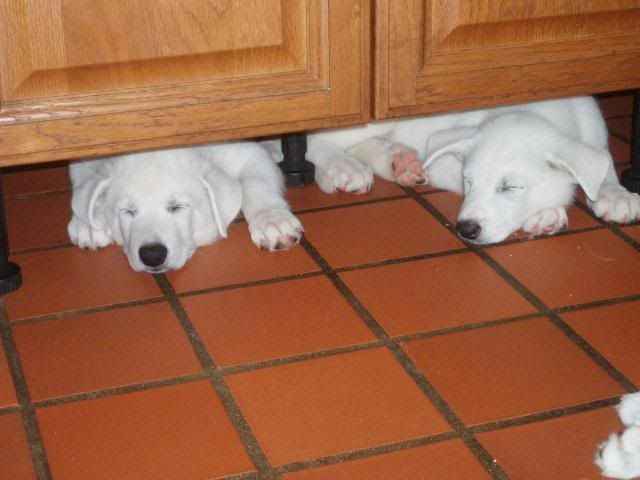 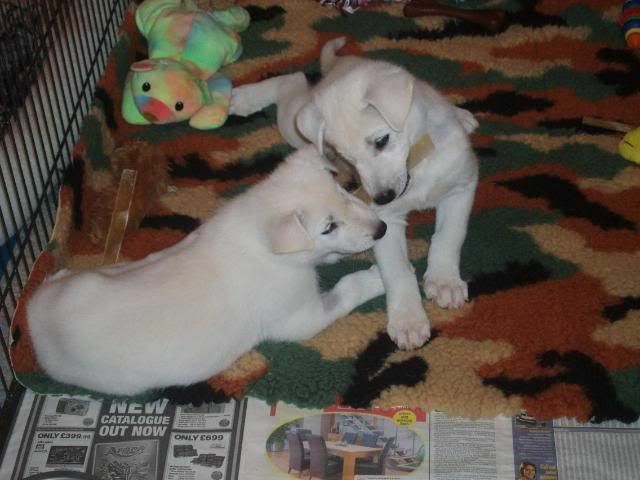 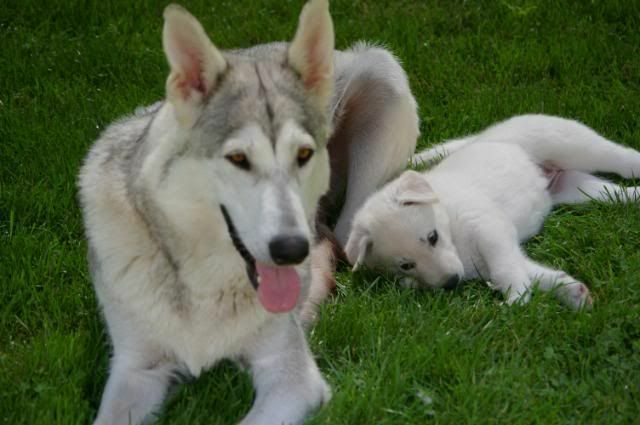 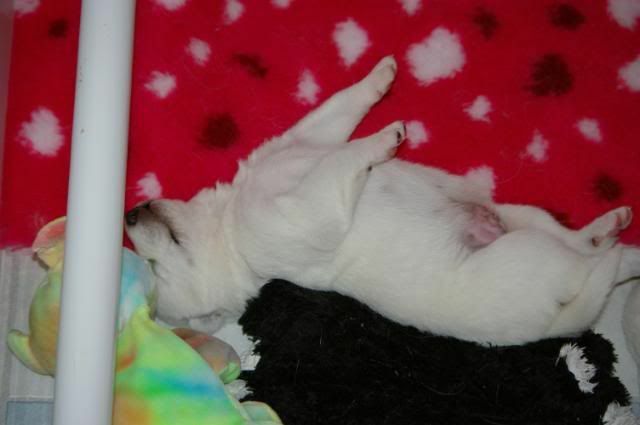 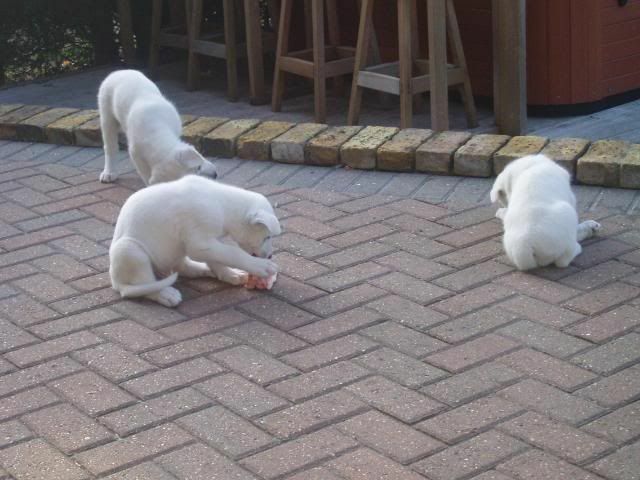 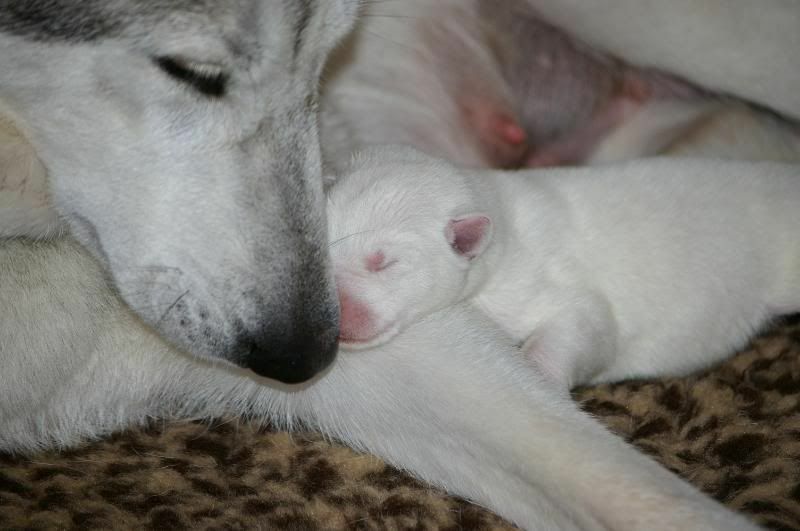 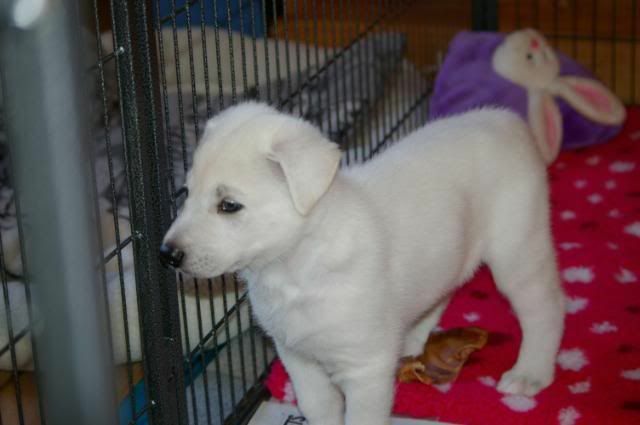 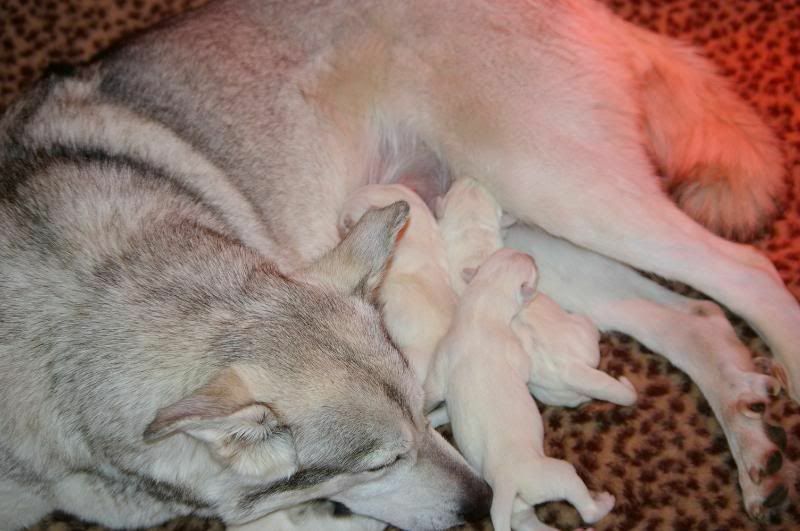 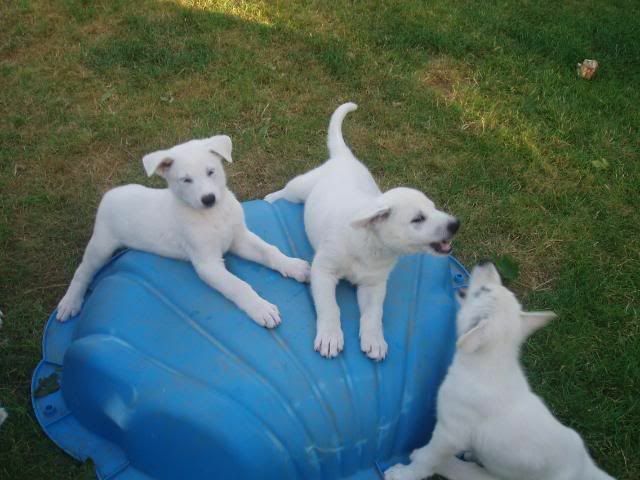 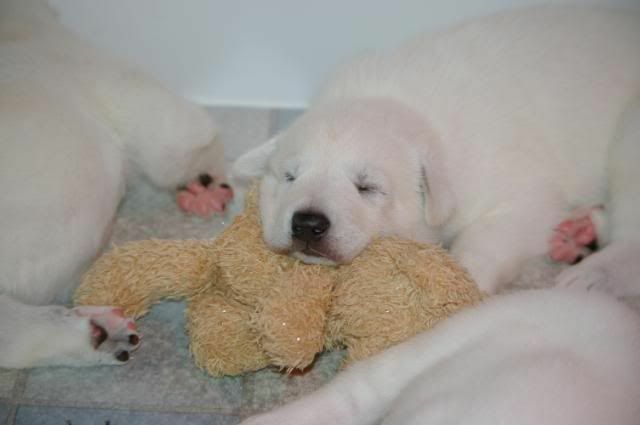 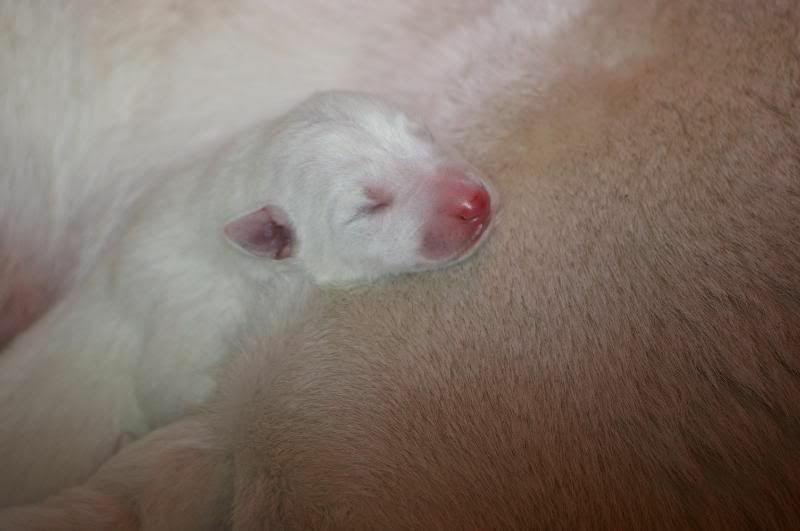 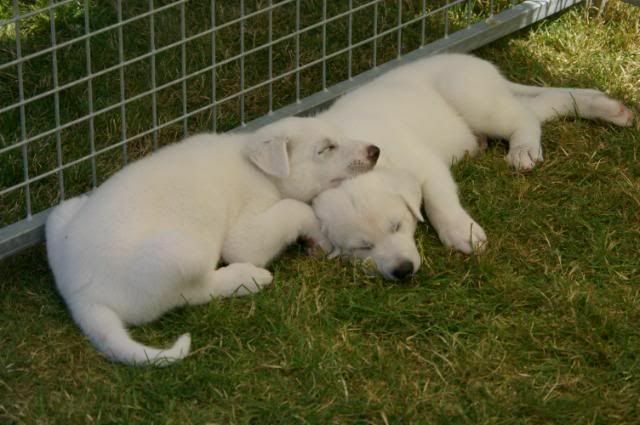 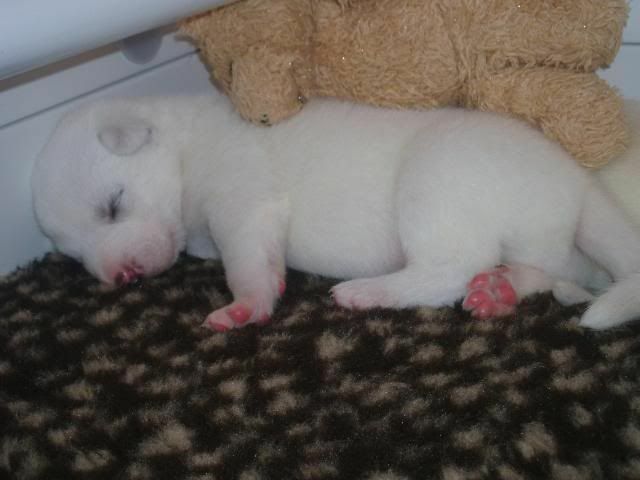 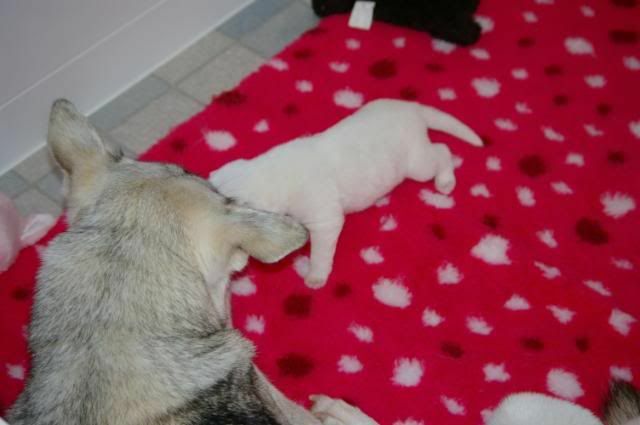 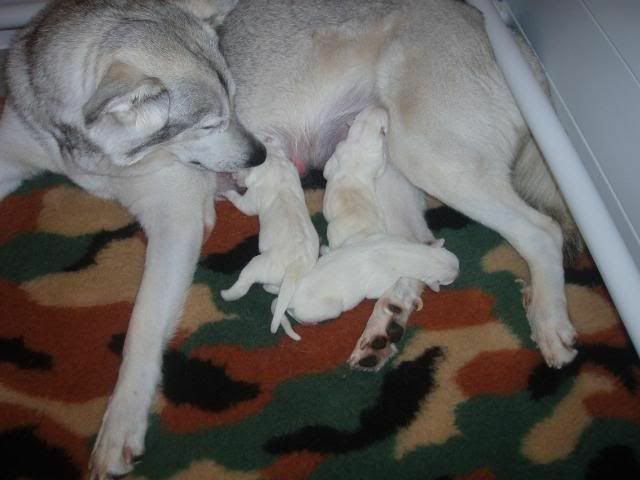 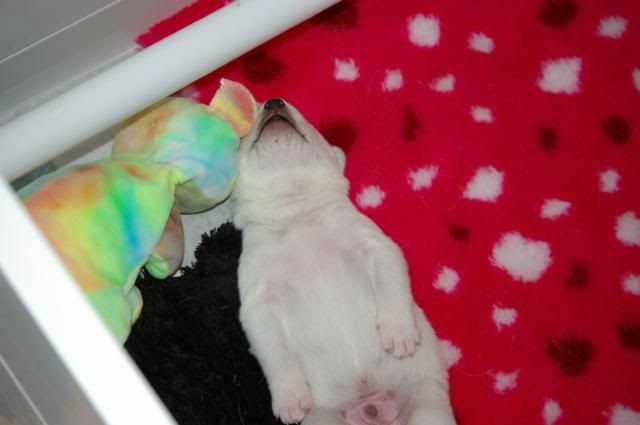 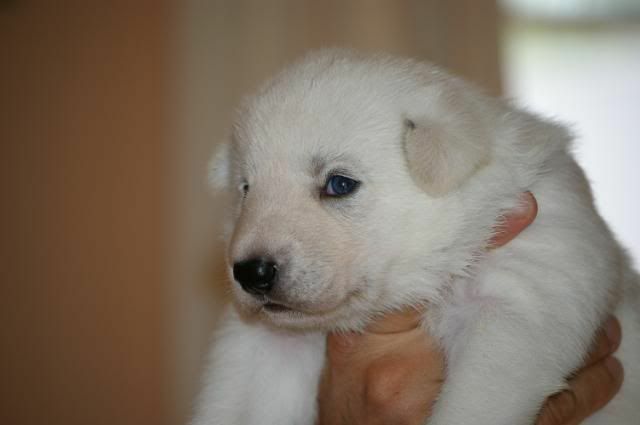 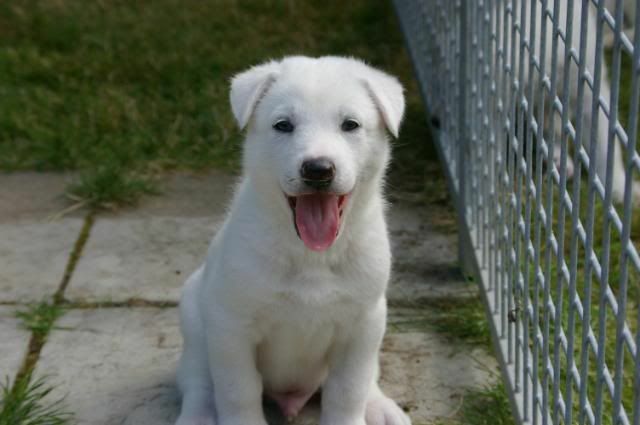 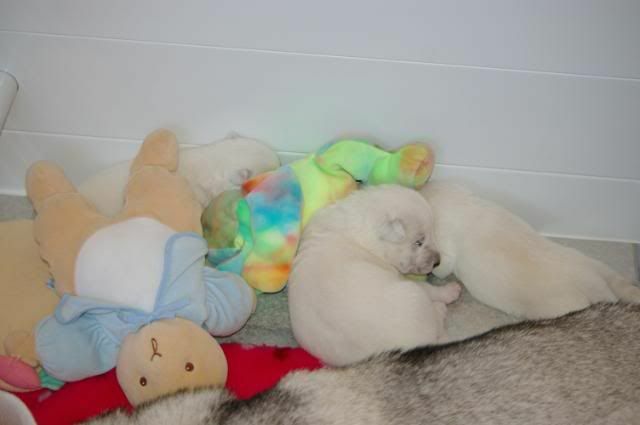 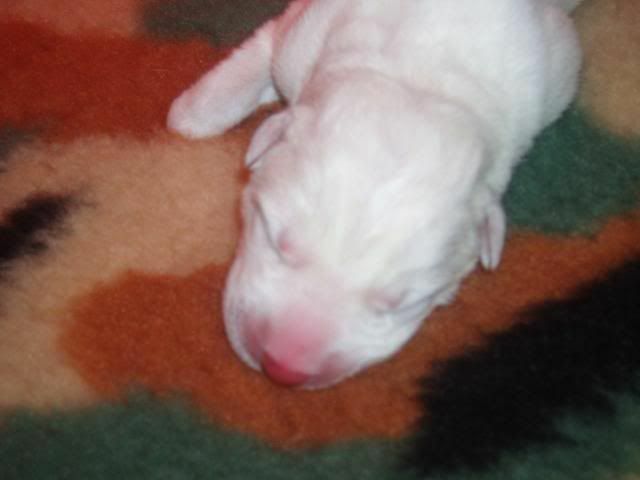 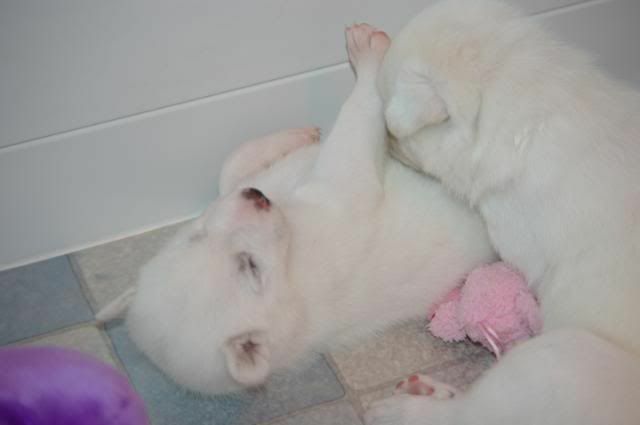 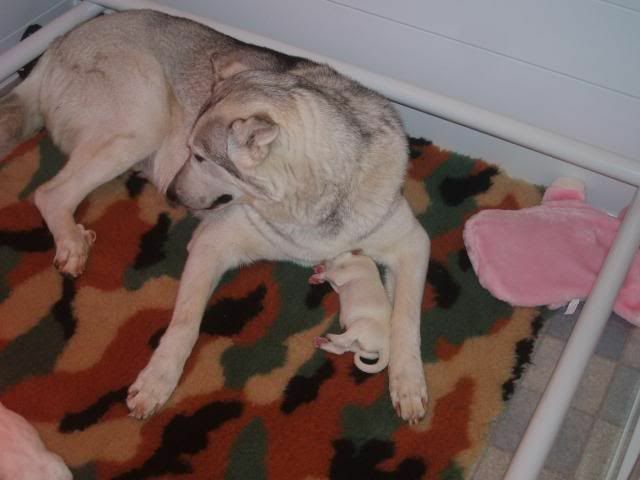 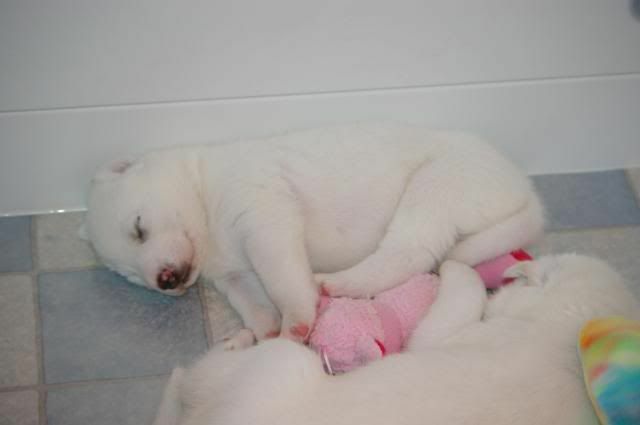 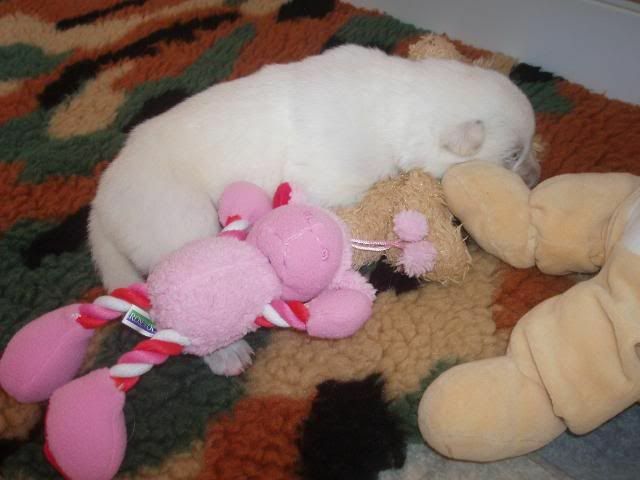 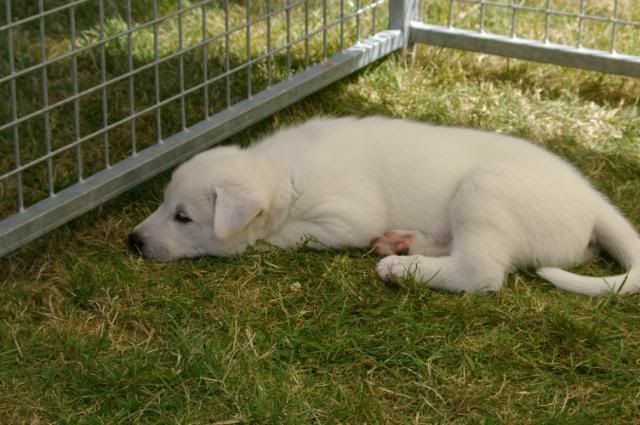 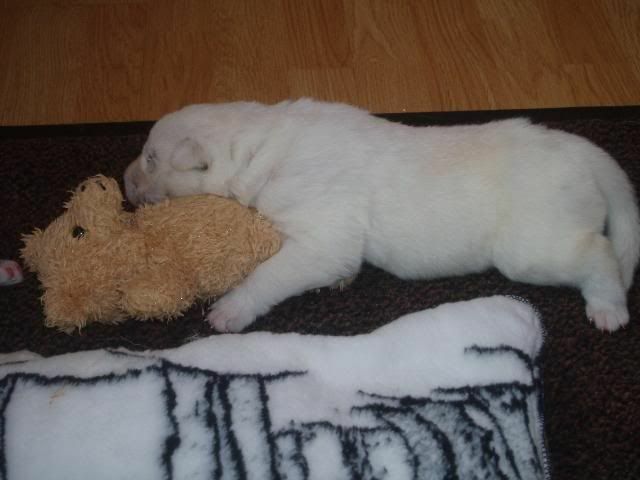 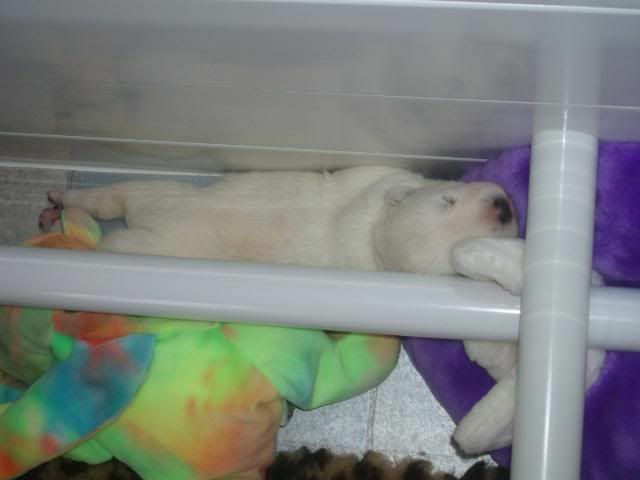 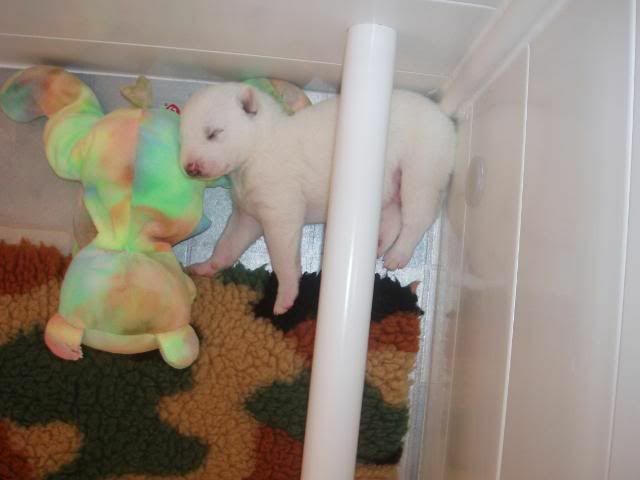 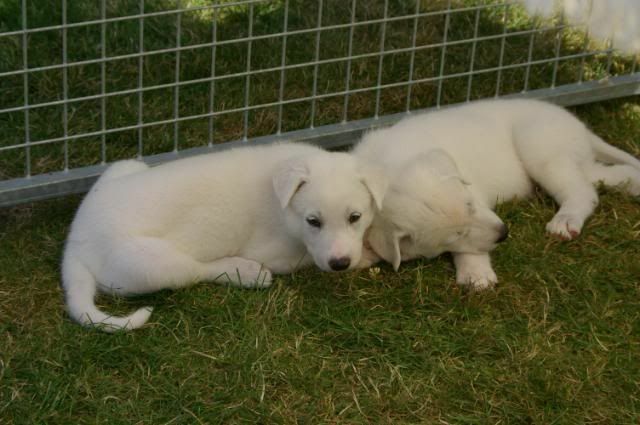 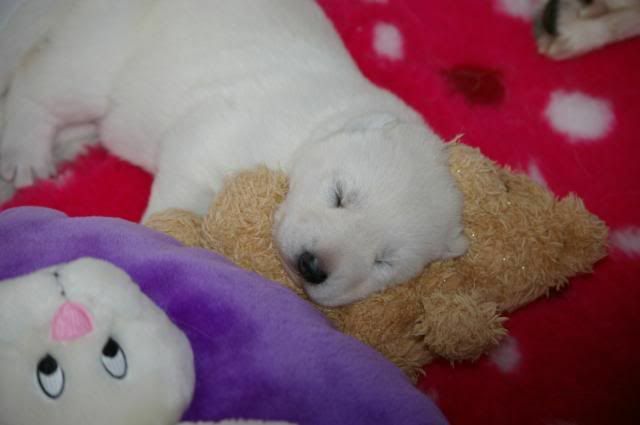 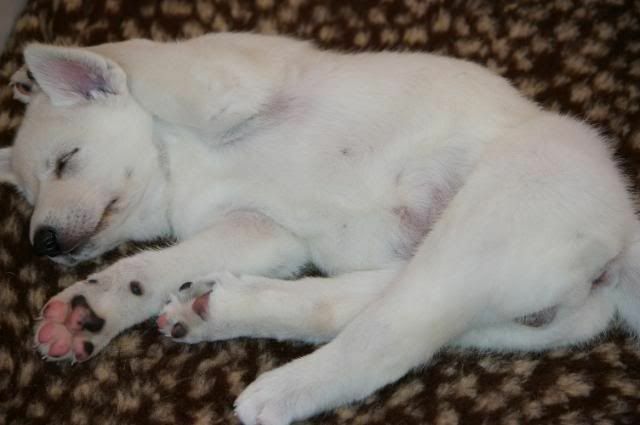 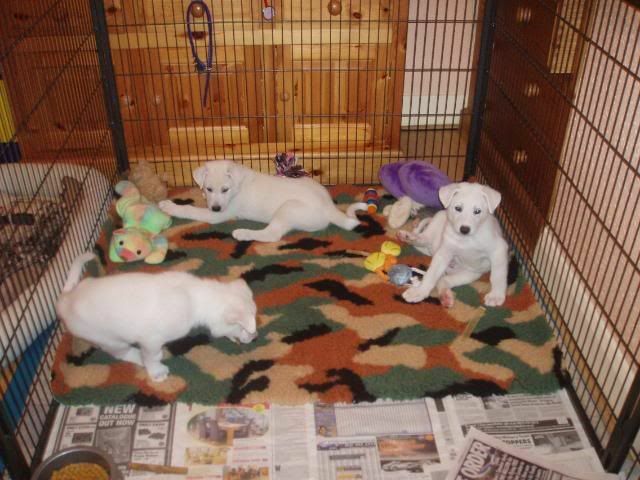 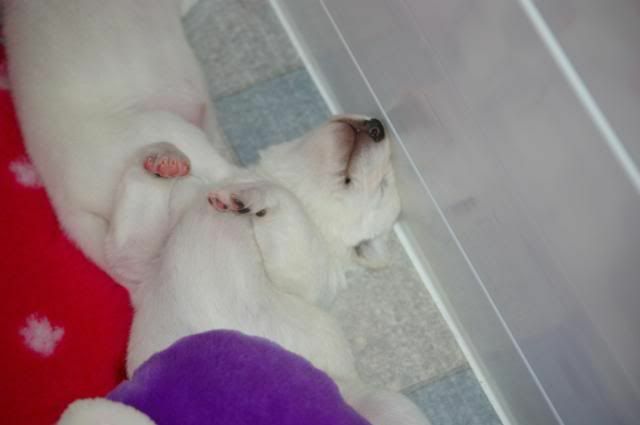 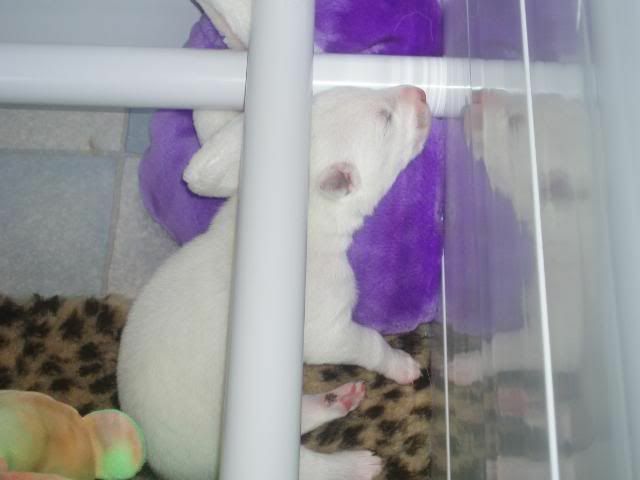 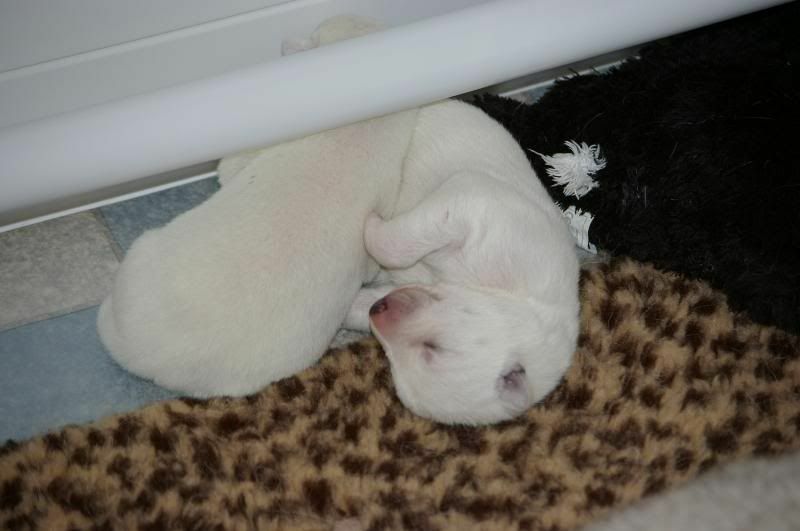 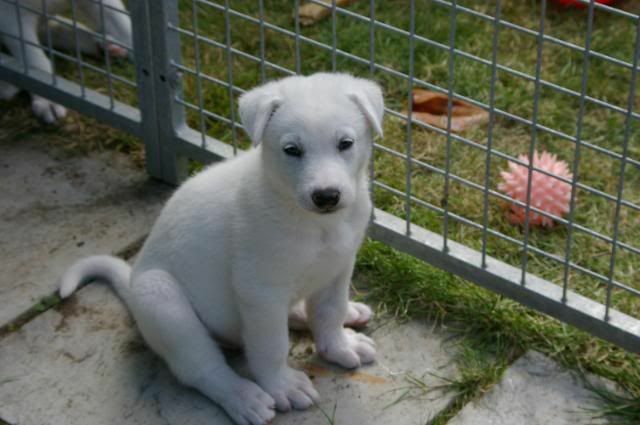 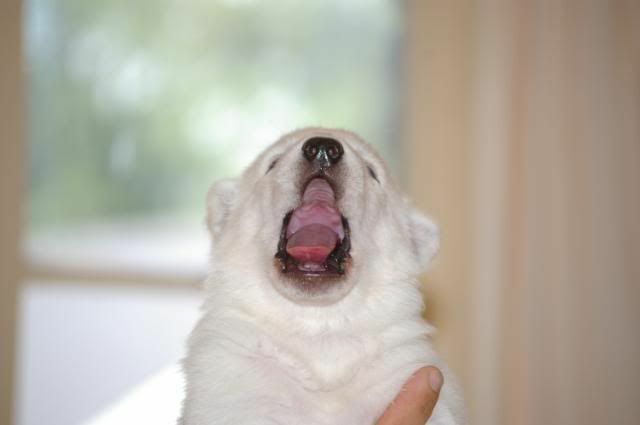 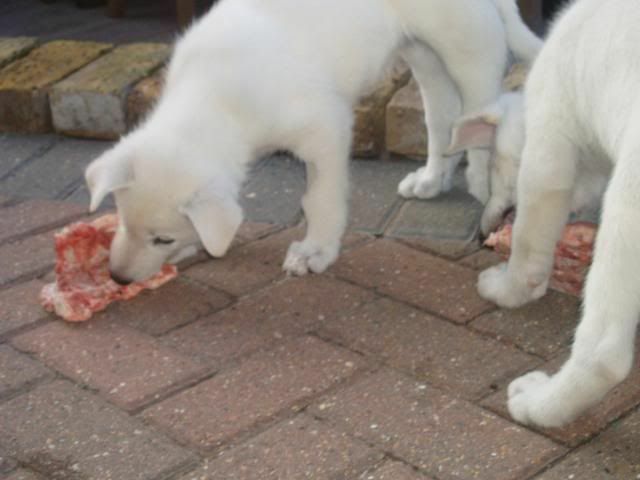 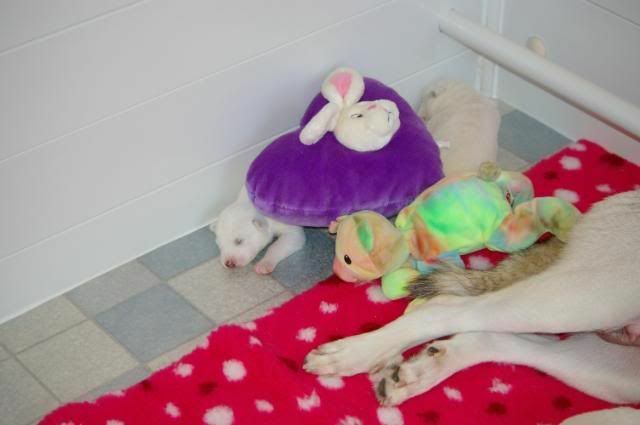 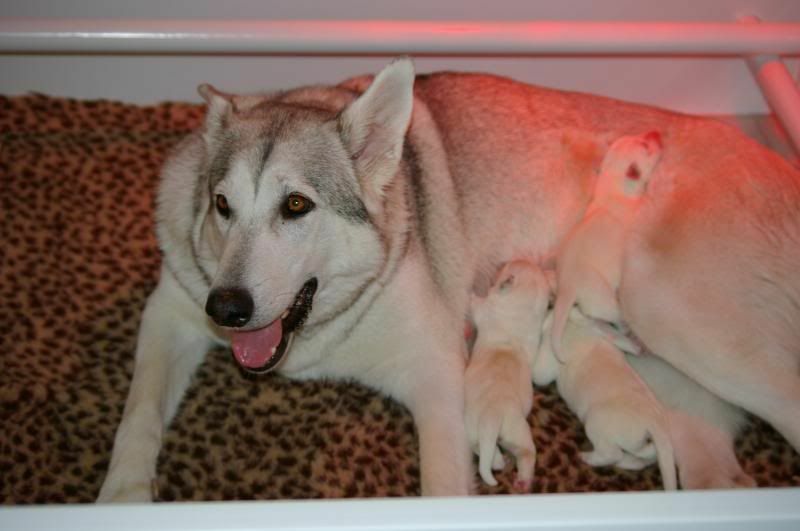 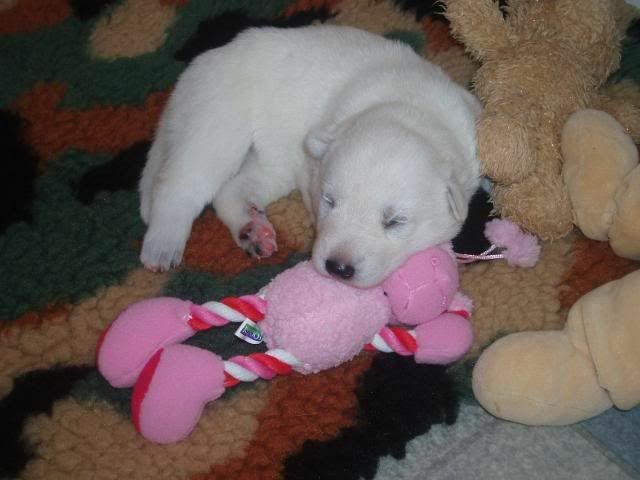 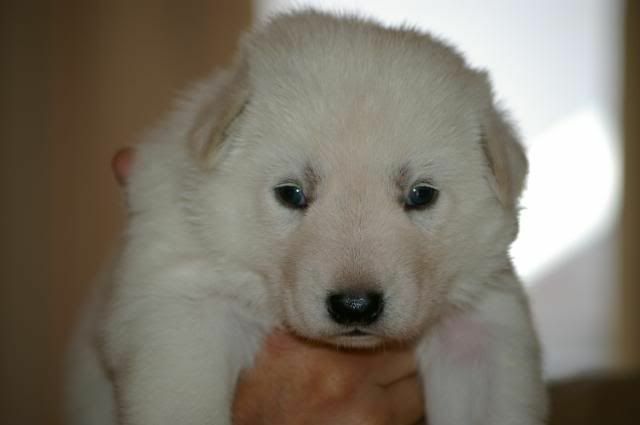 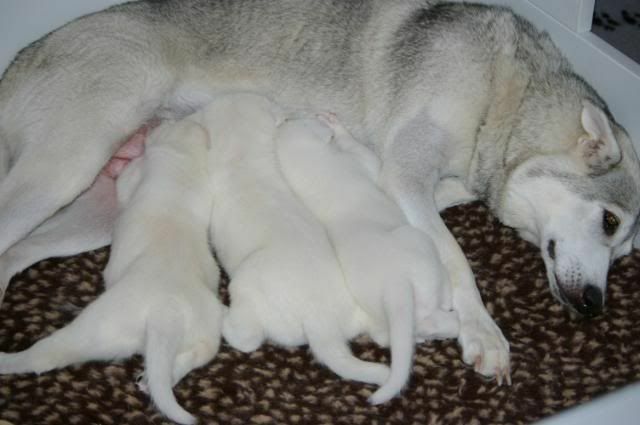 After a very long tiring weekend, Anya finally gave birth to 3 healthy white puppies on the 17-06-08. 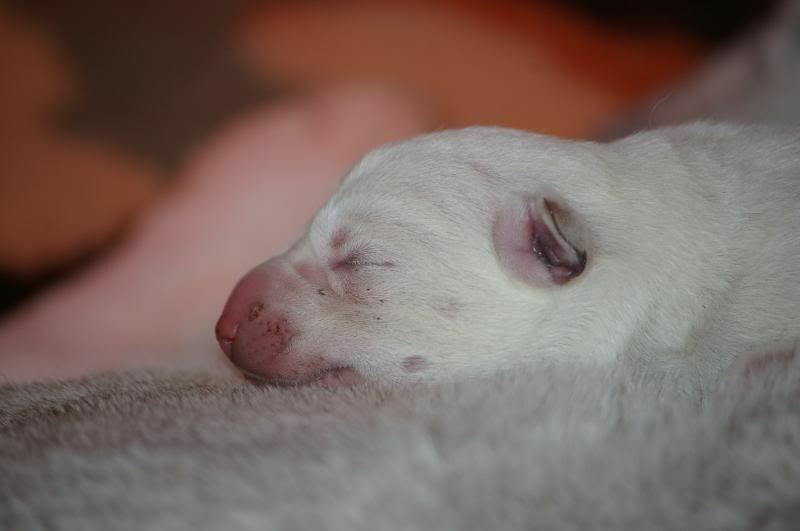 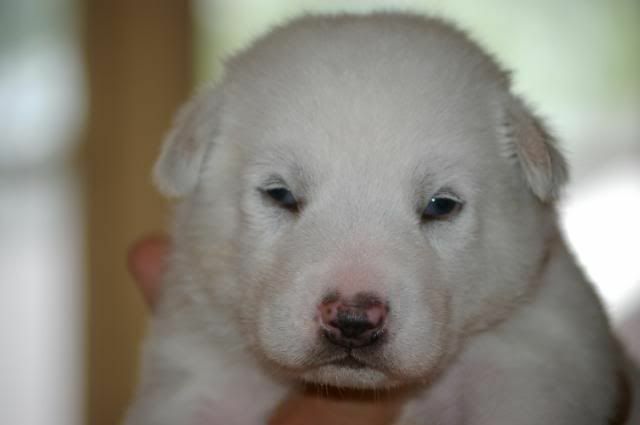 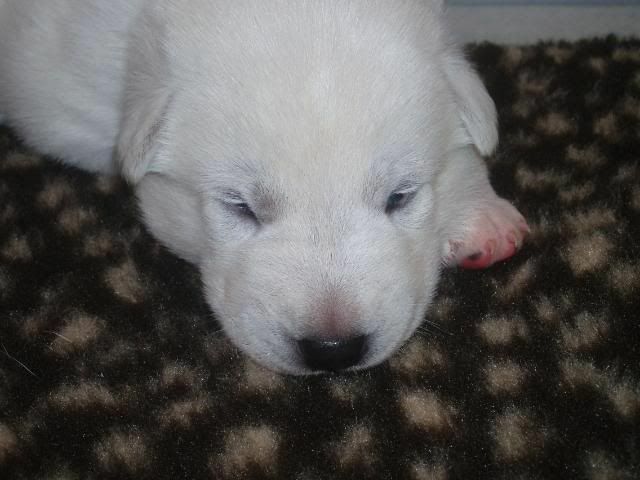 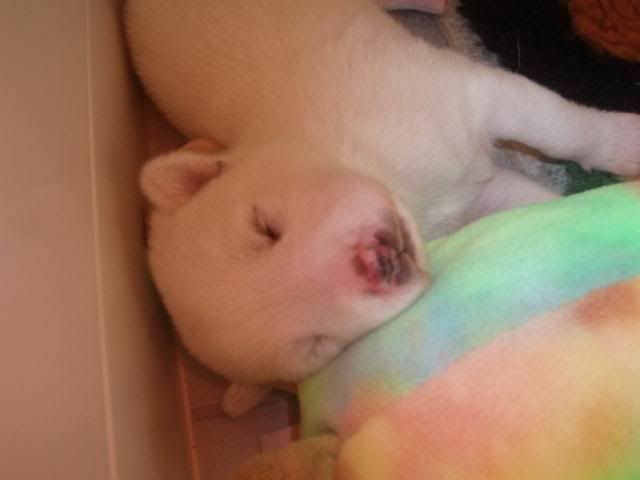 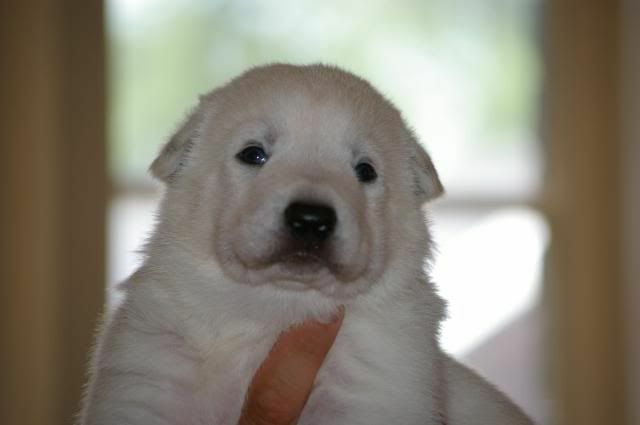 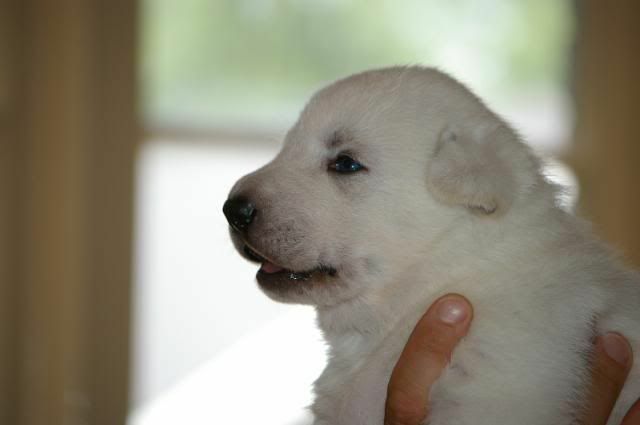 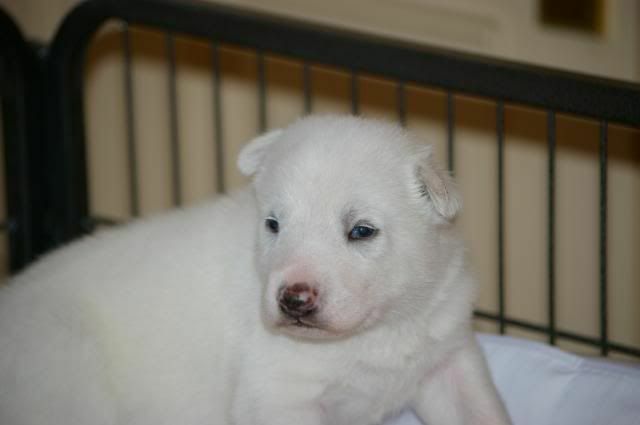 Puppies Nose's are starting to go black now. 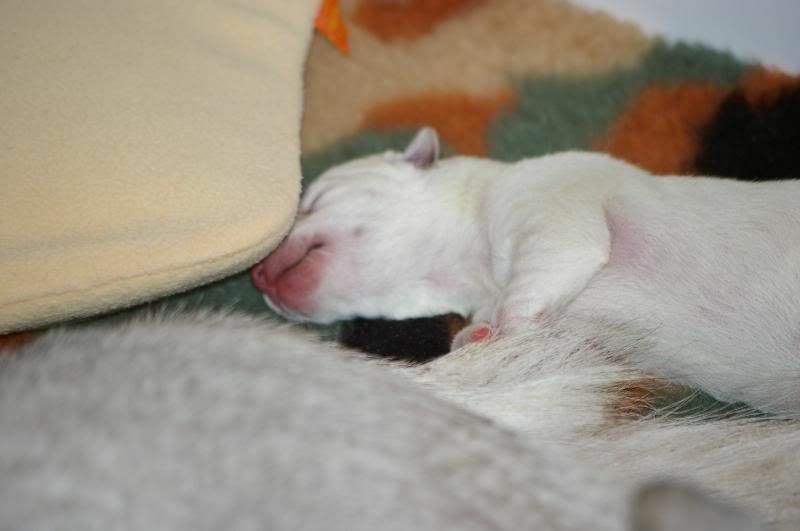 ( 5 days old). 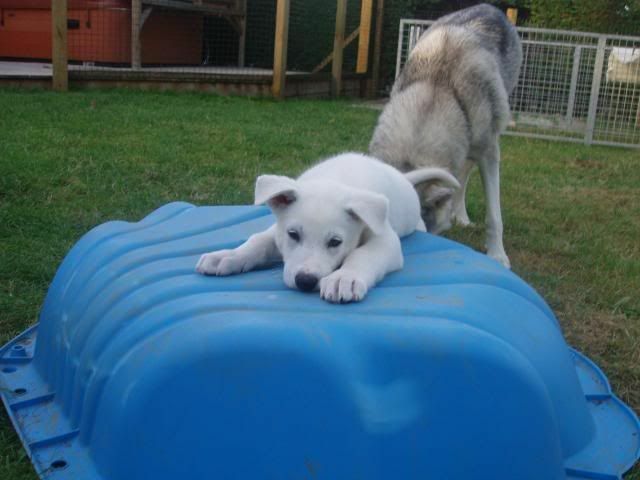 Anyas not impressed with all these photos........... "cant a girl get any privacy" !!! 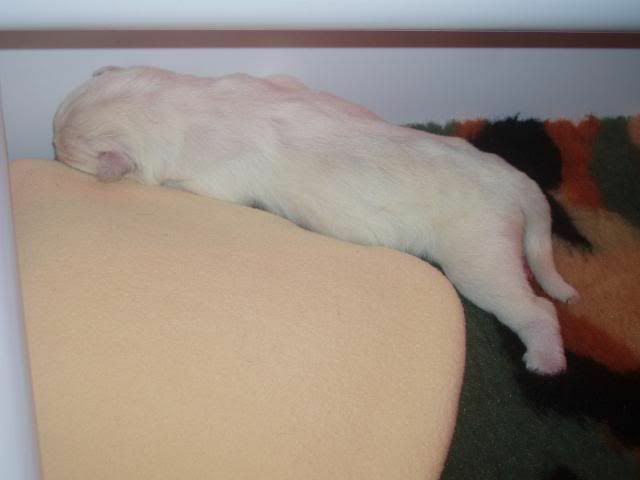 25th June 08, All puppies doing really well, very active already and wizzing around the whelping box on there bellys, and even starting to stand up now too. 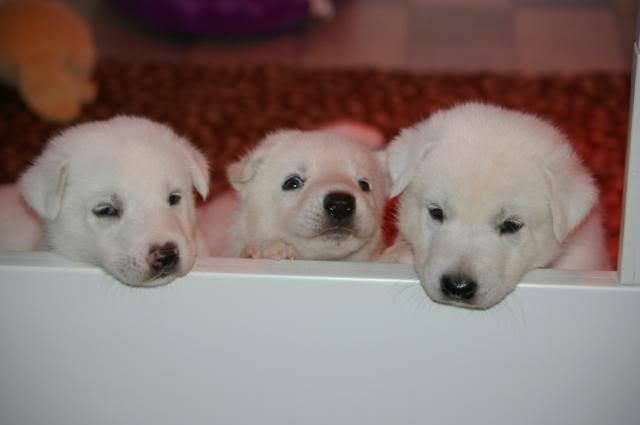 I have heard a few woofs from them and signs of a little howl, We now sleep in our own bed ( and not with them ) but watch them most of the night on the Camera and what an adorable bunch they are . 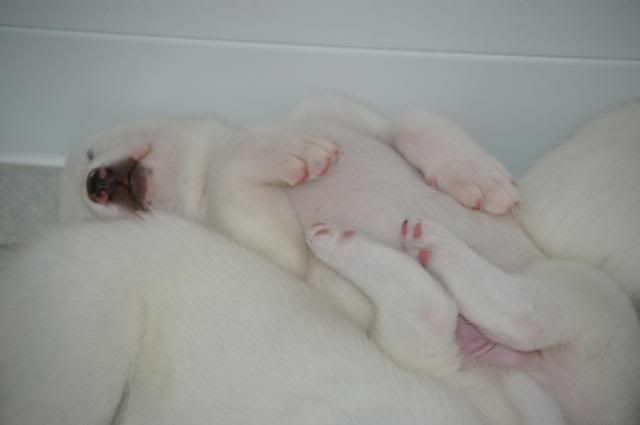 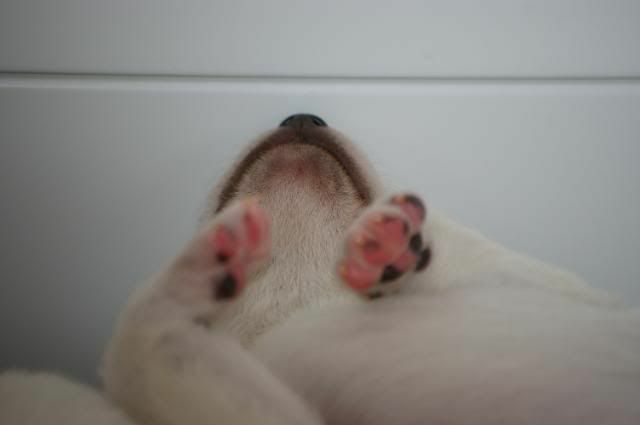 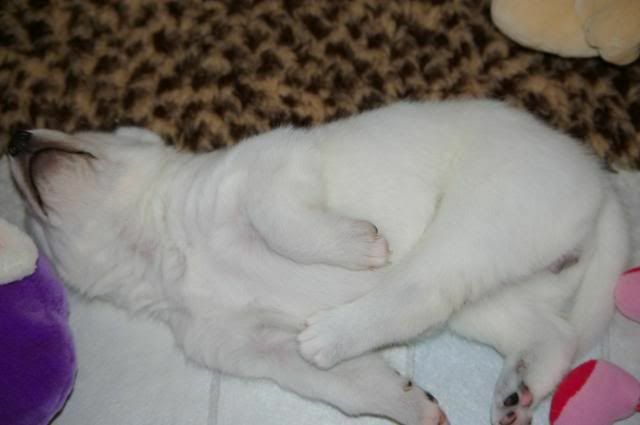 27th June, Puppies really active now, just waiting for eyes to open, this should be any day now.. New puppy Owners coming to see them today. 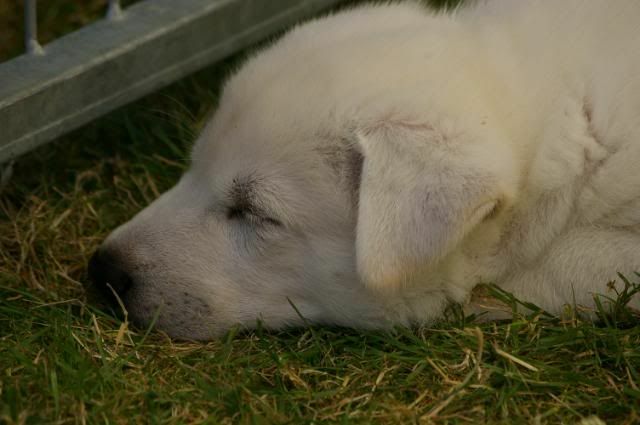 It was lovely seeing all our puppy owners this weekend, we are very lucky they have chose us, as im sure they will all fit in to our extended family really well. 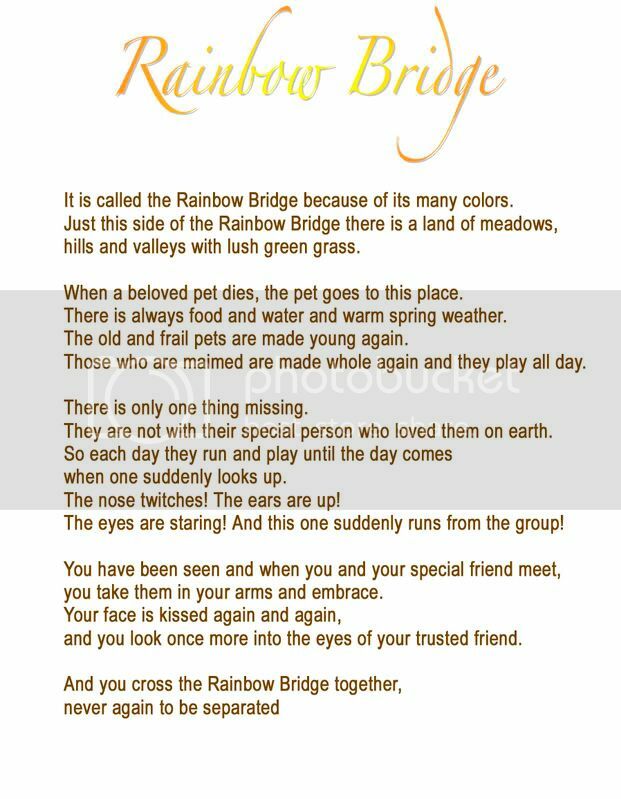 30th June. 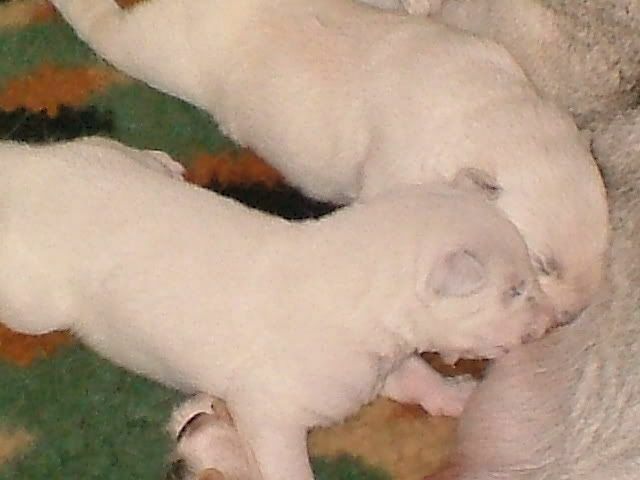 All puppies eyes are open, and looking even more adoreable too, All puppies have there front top teeth, so poor anya no wonder shes not in with them all the time now, Puppies are even more active now and starting to play with each other today. 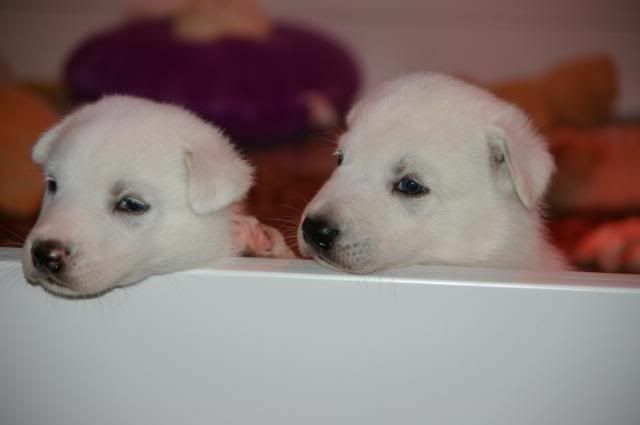 1st July, 2 weeks old today, eyes open wide, , and strong voice boxes ( lol ), Bo Started walking today, the other will follow soon im sure. 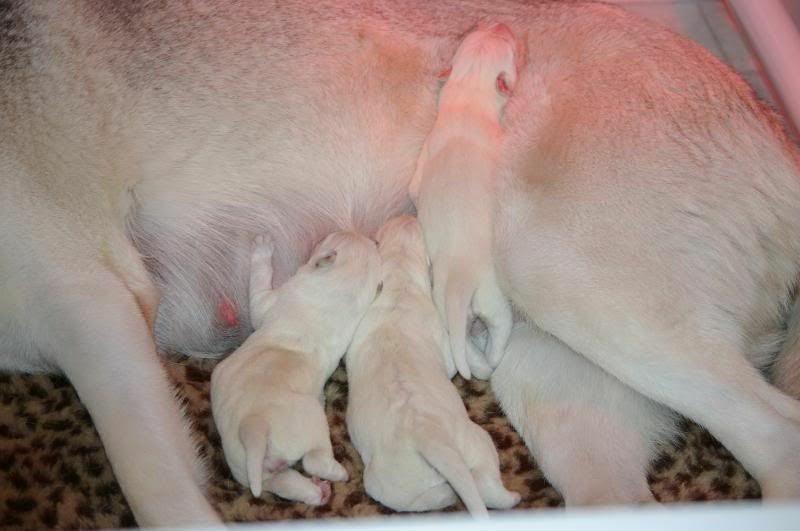 All puppies wormed with puppy drontal ( so pink highlights for us all ). 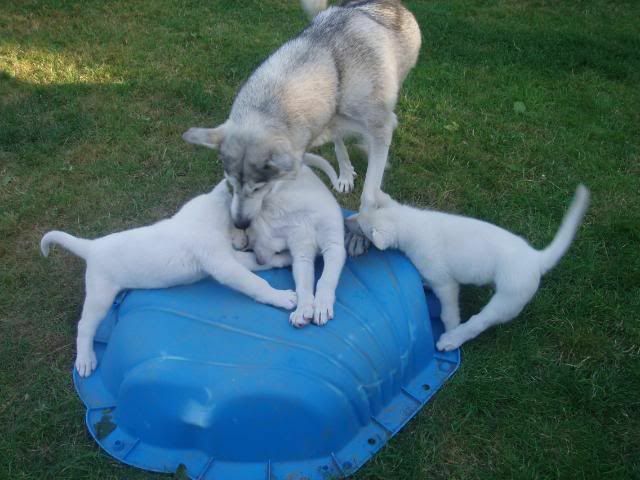 They are all chewing Anya now and interacting with each othe in play. 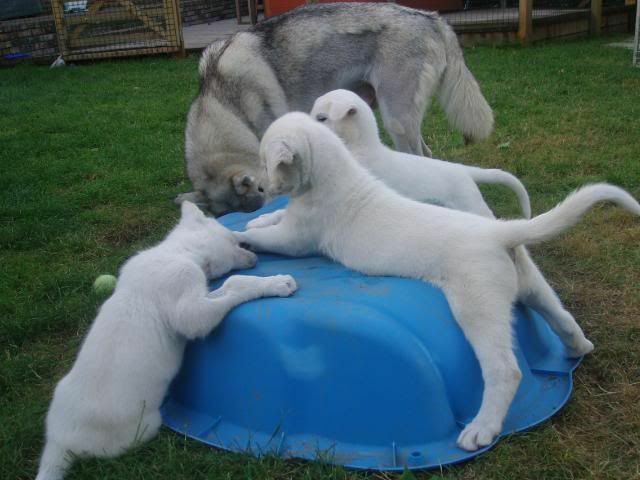 5th July, Puppies are all doing very well, all very vocal now and will howl when they hear our voices now.... they all move around quickly, Bo is still the most upright on his feet, they love a tickle, will growl at Anya when they dont want to be washed, and have all started lapping up puppy porridge now, they are extreamly forward the little monsters. 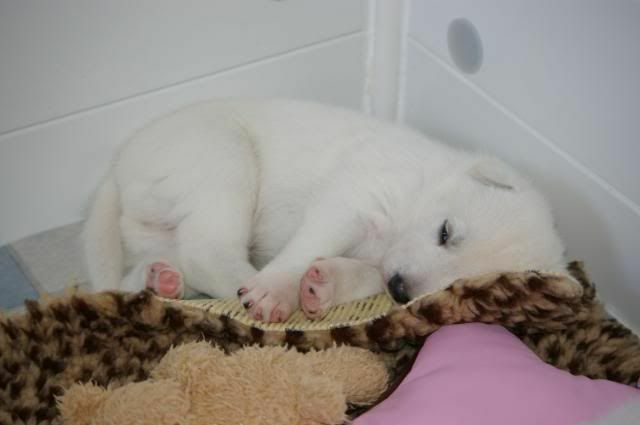 Will try to up dae as much as possible over the next two weeks.............. bear with me lol. 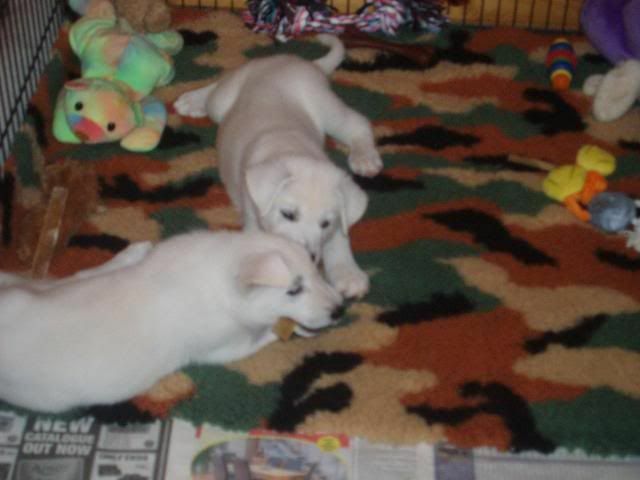 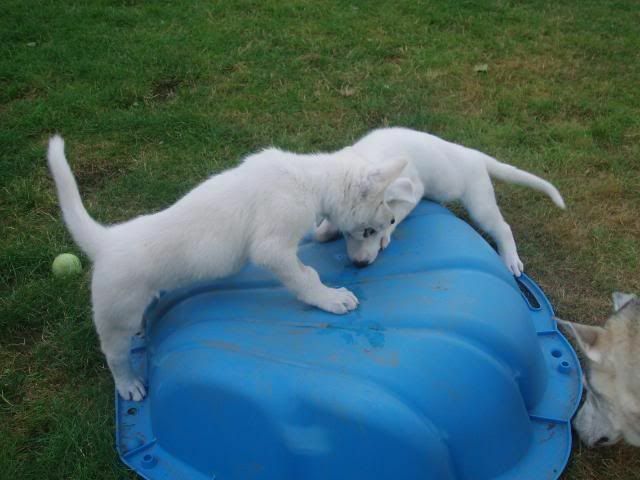 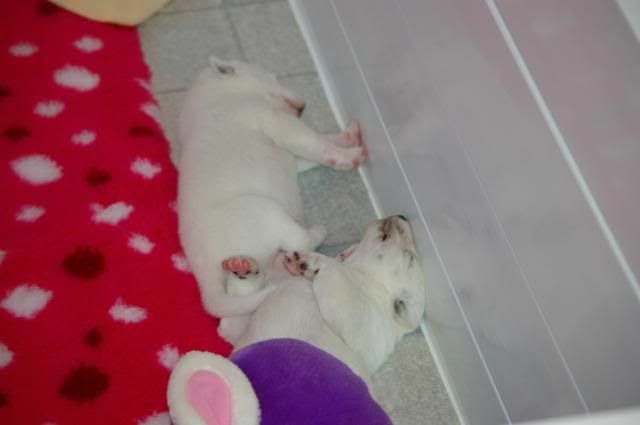 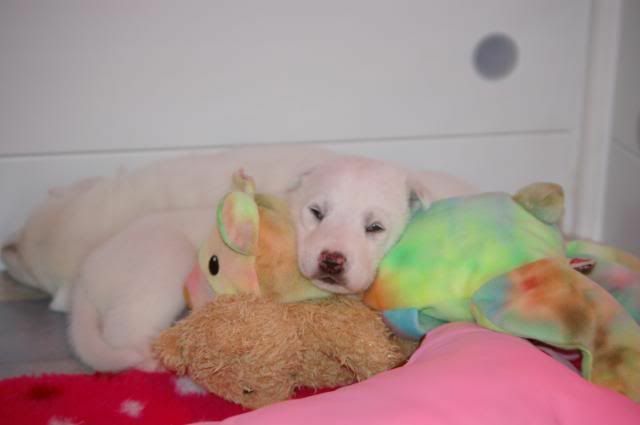 Its 9 Days now untill the puppies go off to there new homes, they are eating well, playing hard and exploring everything, they love to jump on the hoover,and hang off my trousers !!!! 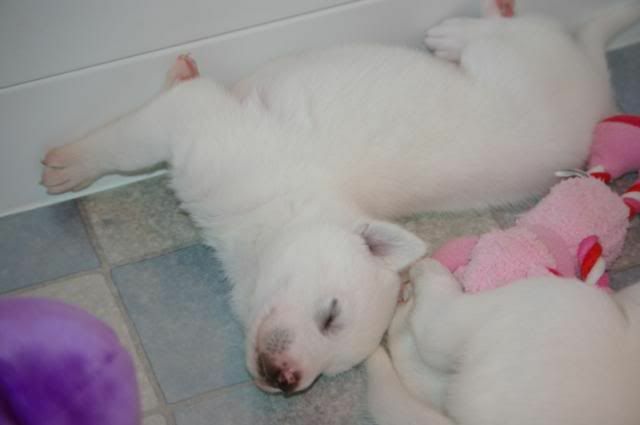 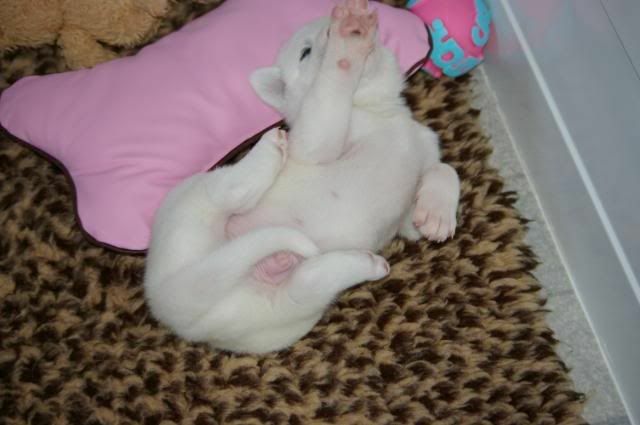 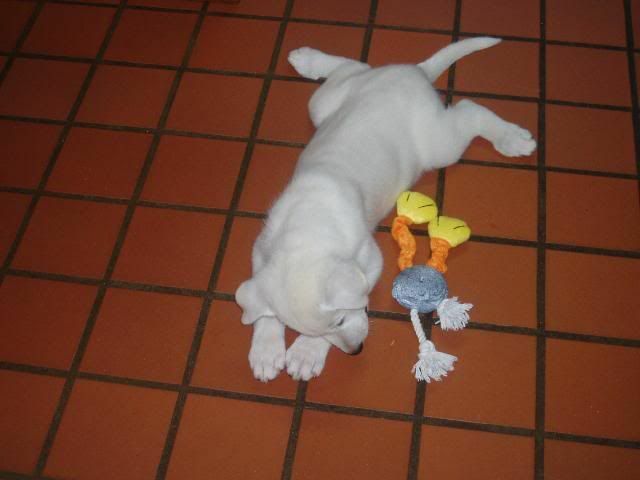 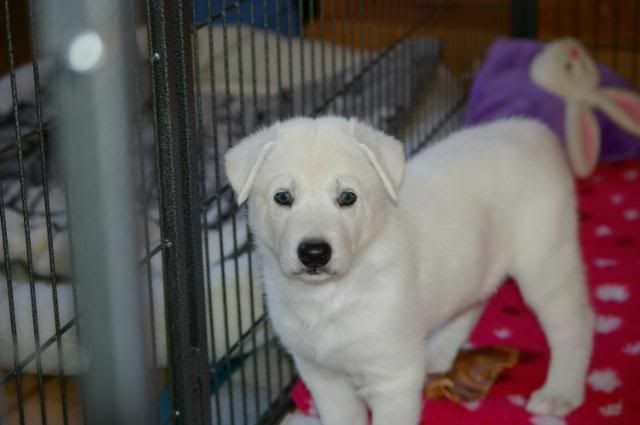 Here some more Random pictures that have been taken this last week (6 weeks old). 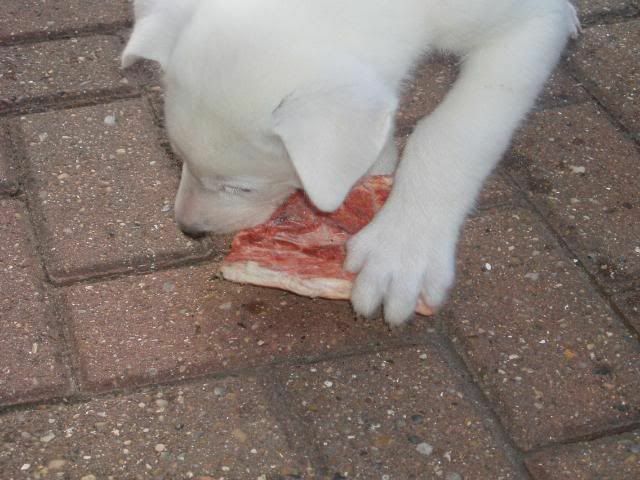 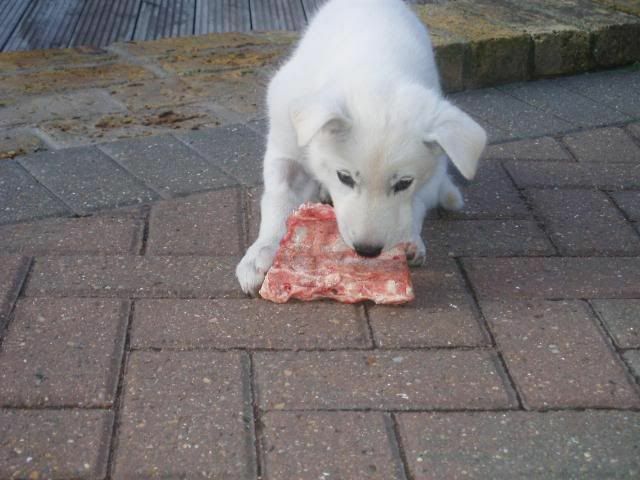 Our first Raw Lamb Meal, Boy was it yummy!!!! 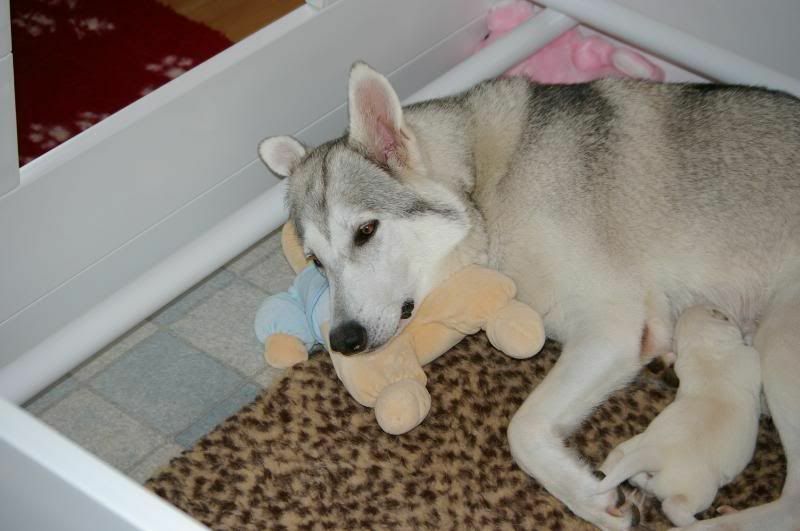 While away on my holiday little tala went to the vets with a stiff leg, this was noticed when she started to stand up, all x rays and tests came back ok, so when we got home on the 25th, we took her to the RVC for further tests, it seems she has a constricted muscle in her left thigh and this is stopping her from being able to bend it, we are still waiting for blood results to come back, before a true prognosis can be made. 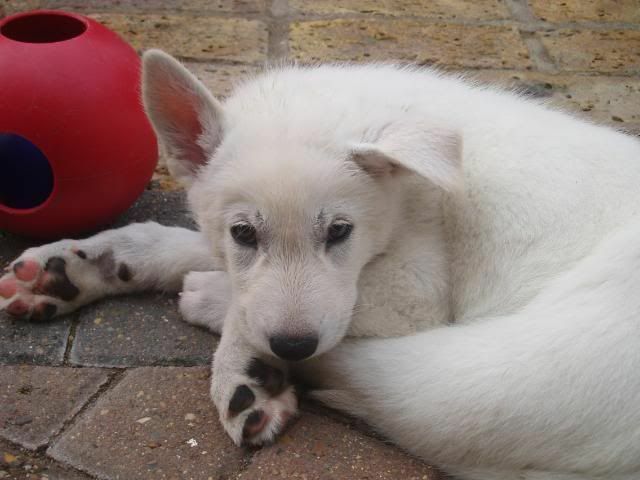 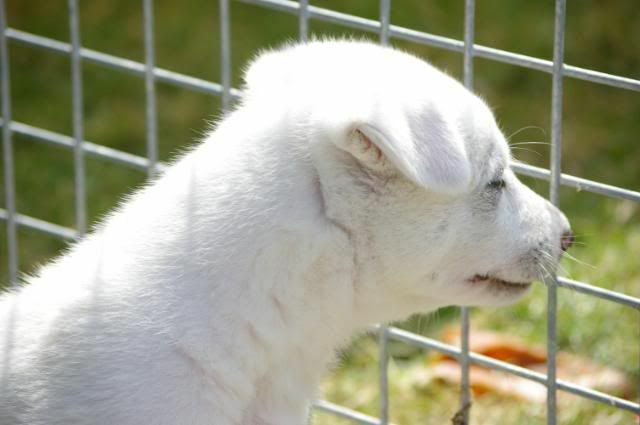 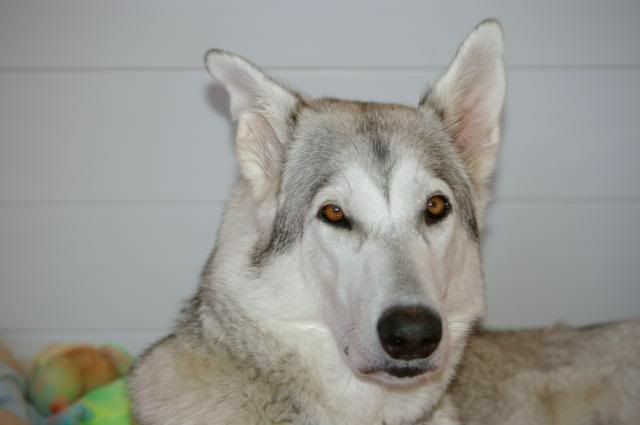 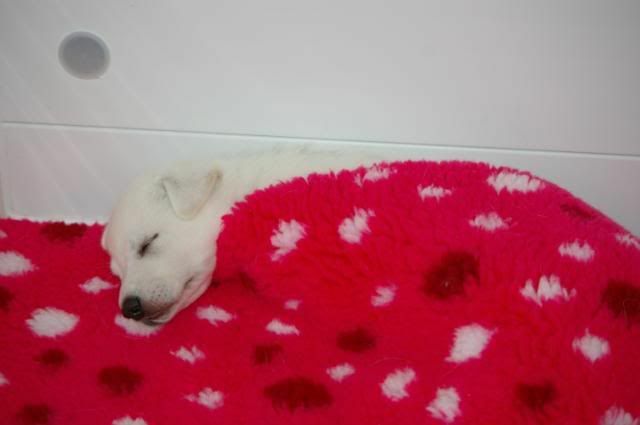 7/8/08 it is with great sadness that we had to have little Tala Put to sleep today, after lots of tests and chats with vets, we all deceided that it was best for tala in the long run. 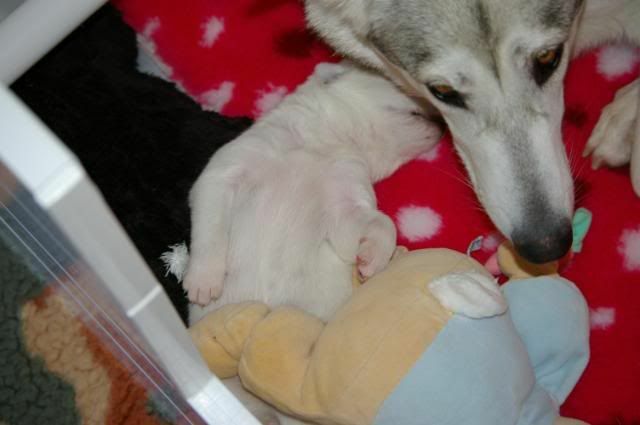 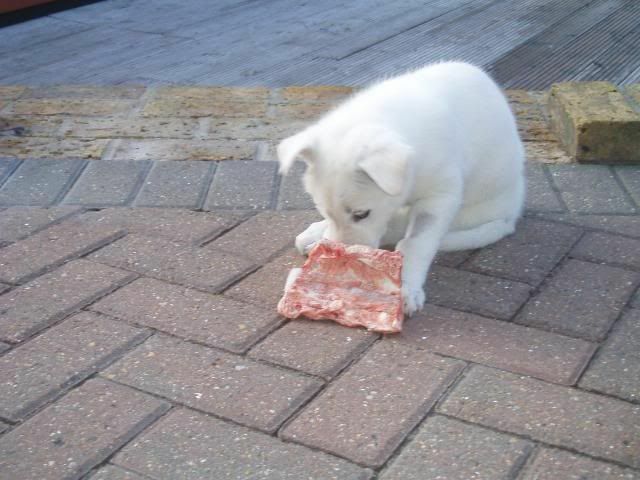 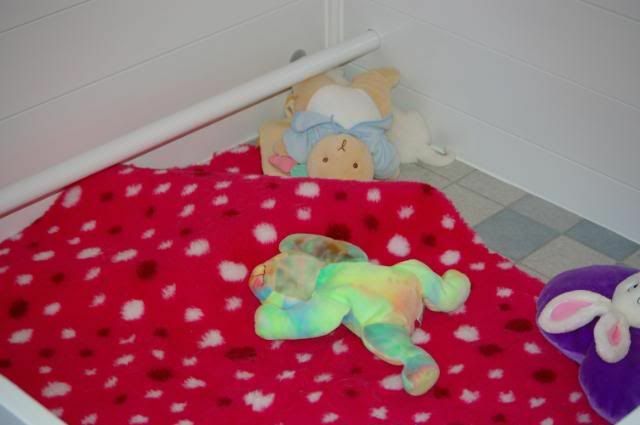 15/9/08 We have Talas post Mortum results, and the conclustion is what we thought, it is not genetic , she had a contracted muscle to the upper pelvic limb, this then caused the femur to bow, this was just an unlucky thing to happen to us and poor Tala, and could of happened, in the uterus or during birth. 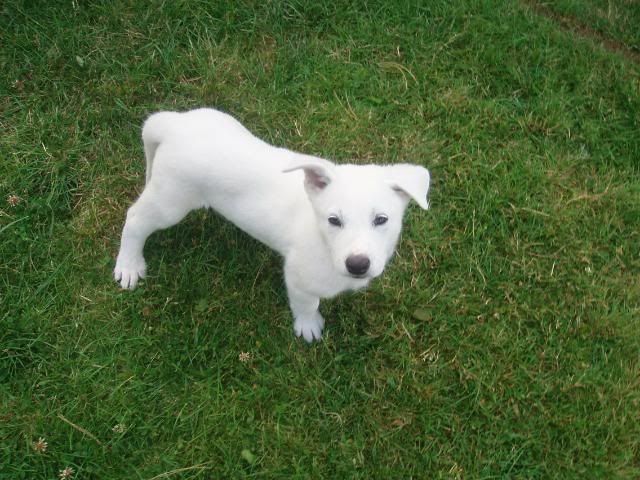 11th August, Drift went and had his 1st jab and a clean bill of health and also his microchip he weights 22lb now. 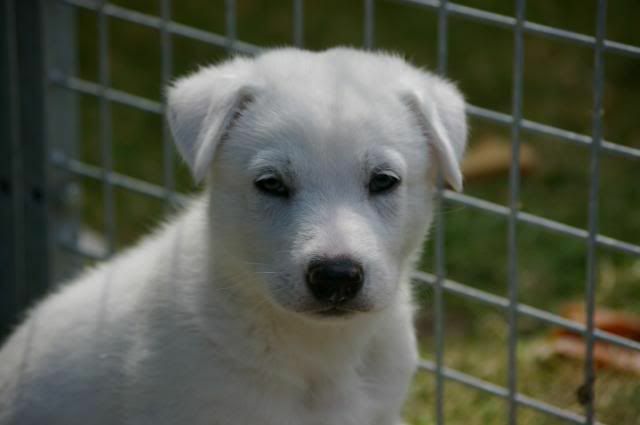 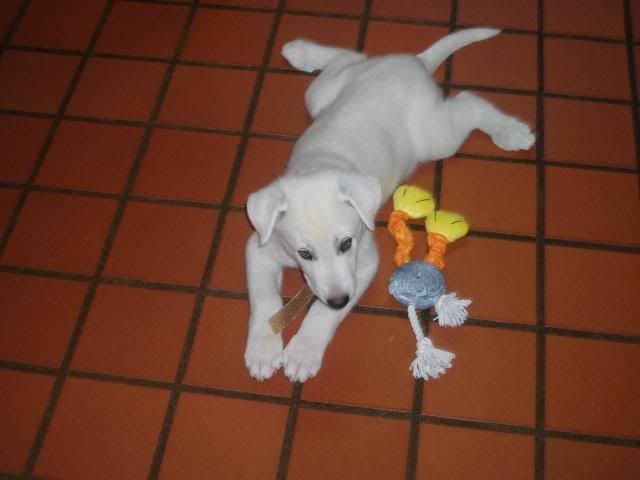 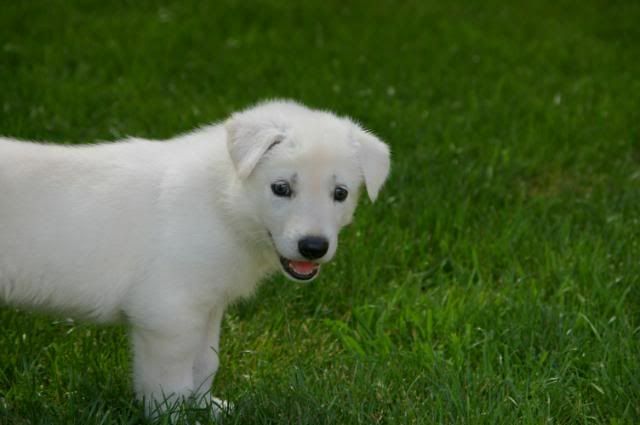 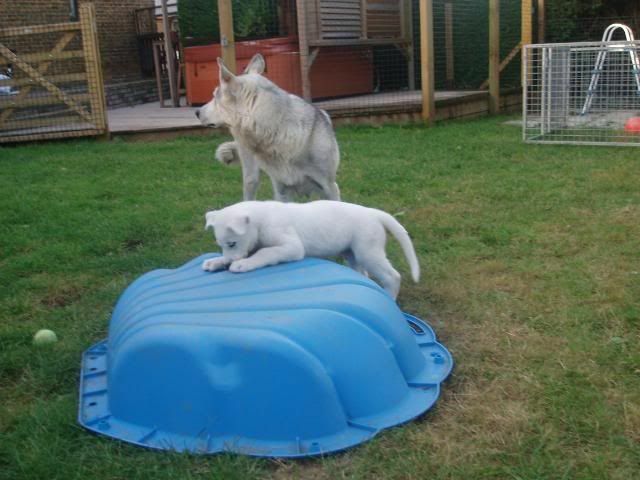 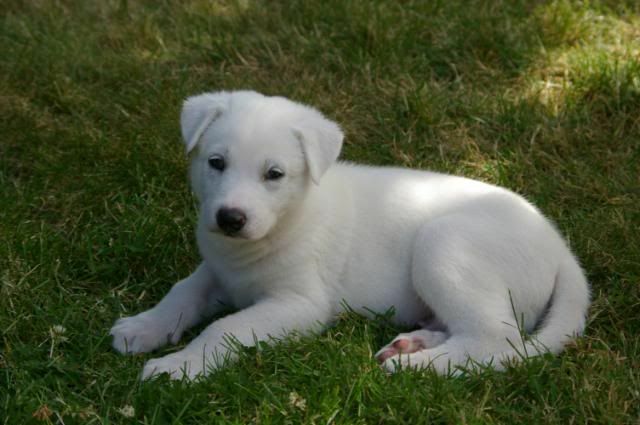 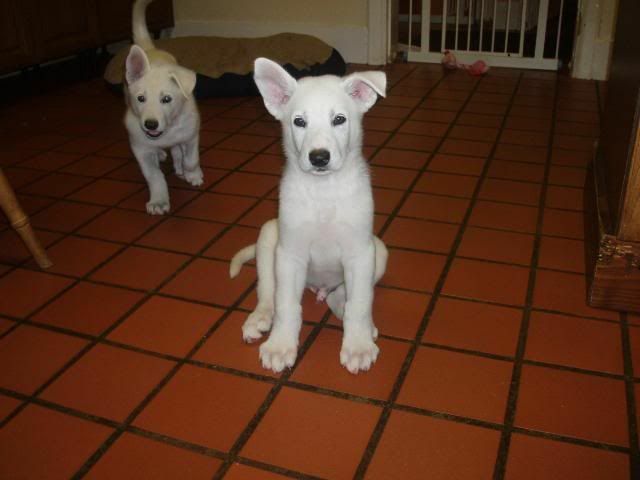 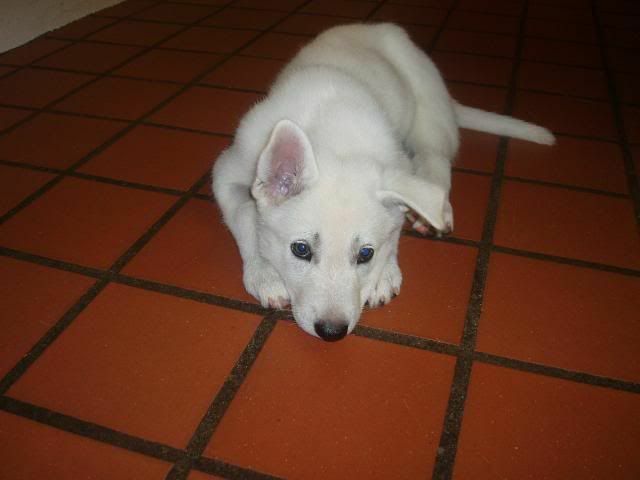 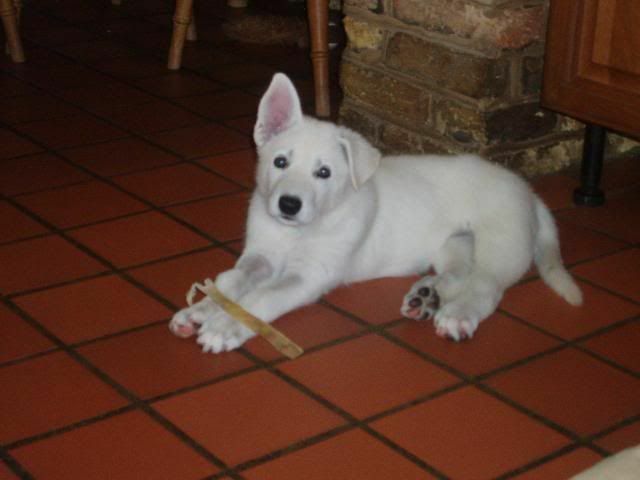 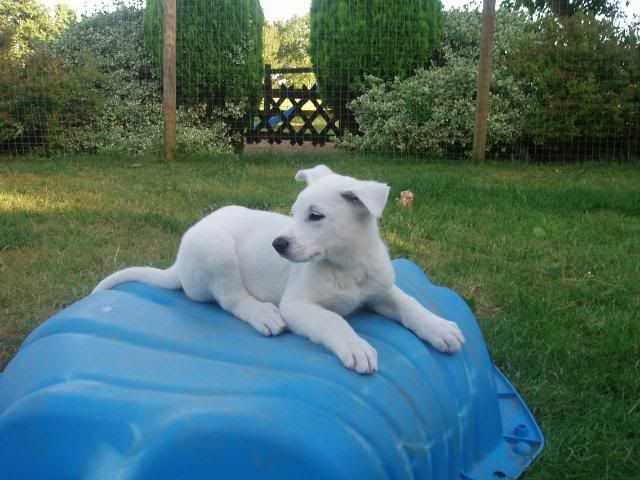 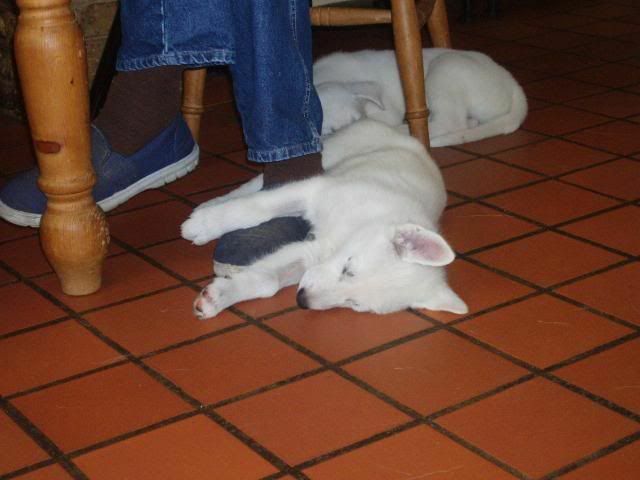 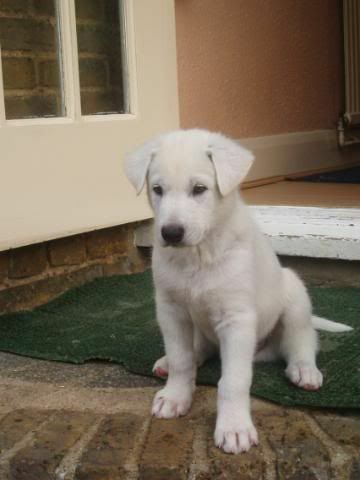 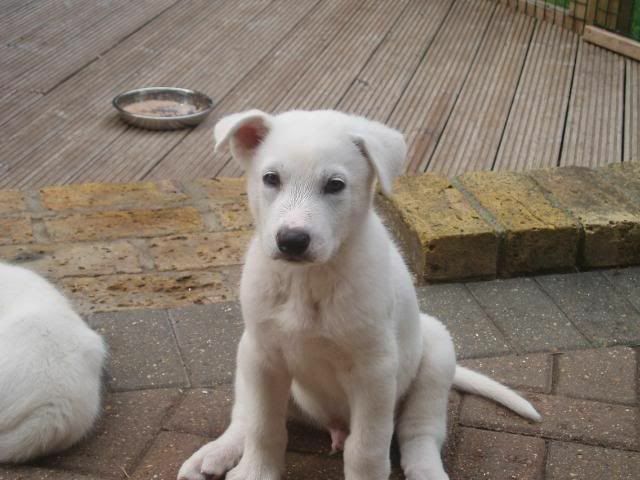 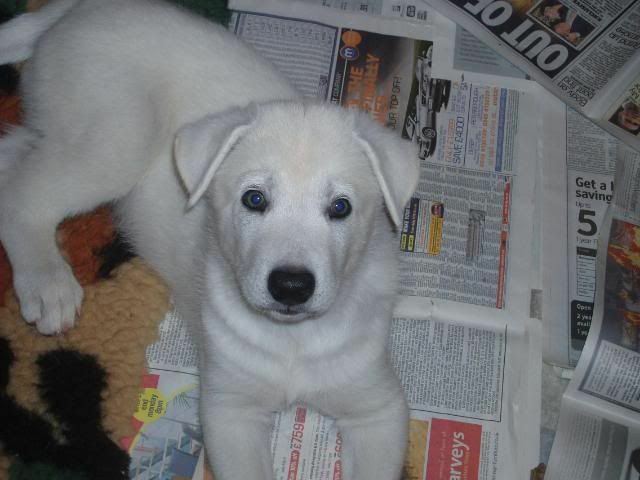 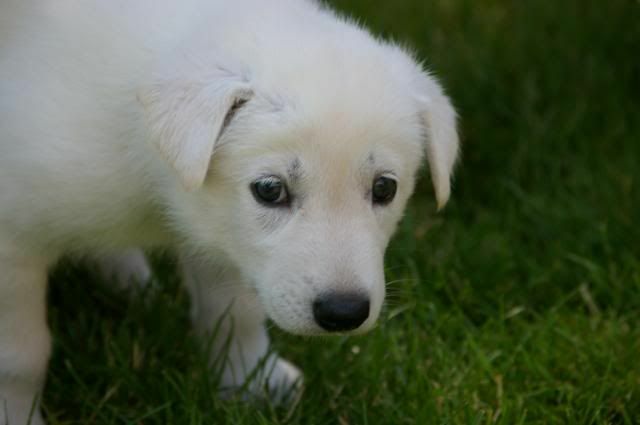 22nd August, Drift went off to his new home, we wish him and his new family well. 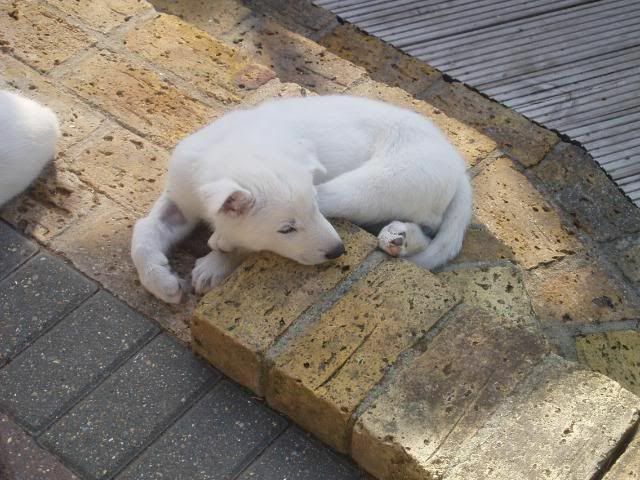 29th August, Bo got the Ok from the vet and was able to have his 1st injection and his Microchip, he weighs 22lb 8oz now, and a clean bill of health. 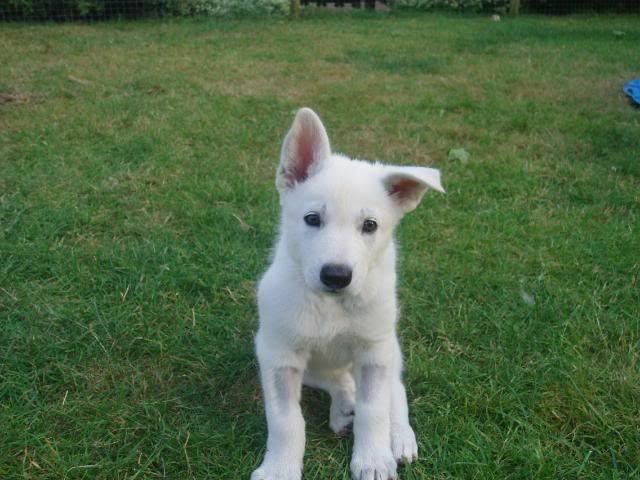 30th August, Bo went off to his new home today, we wish him and his new family well. 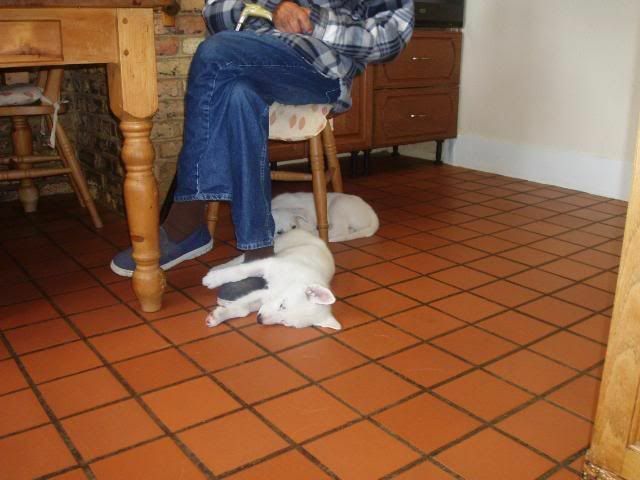 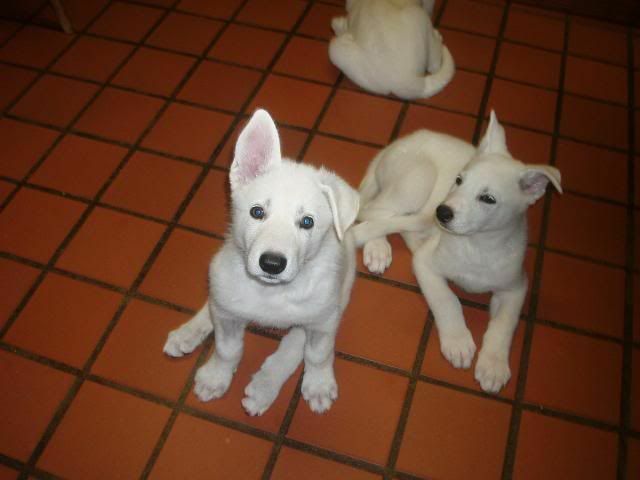 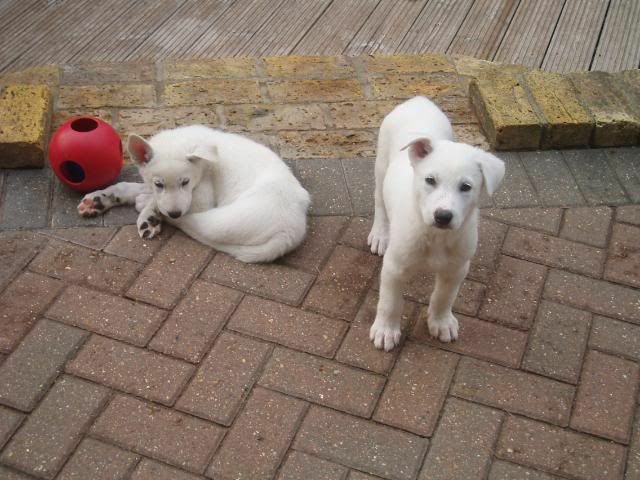 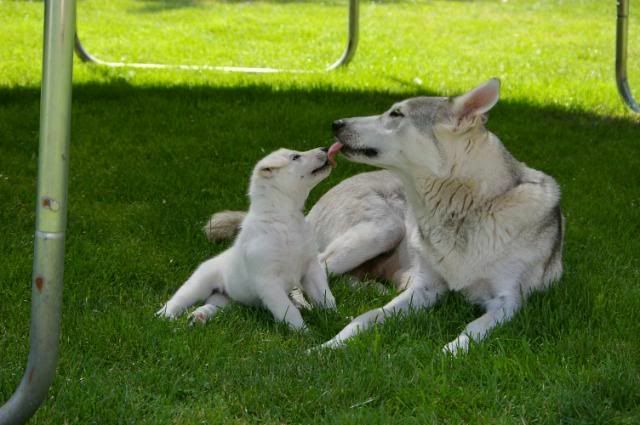 Both boys are missed by us all, this was a special litter, HARD WORK, but special.